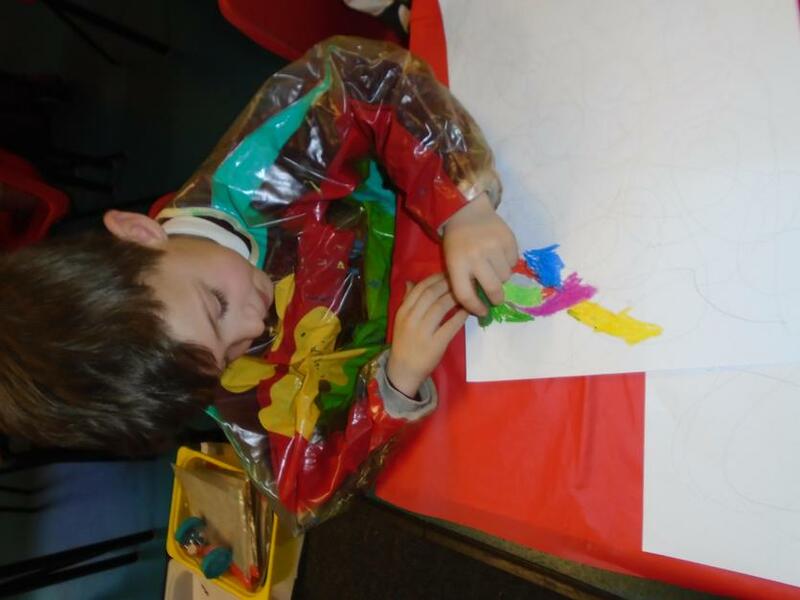 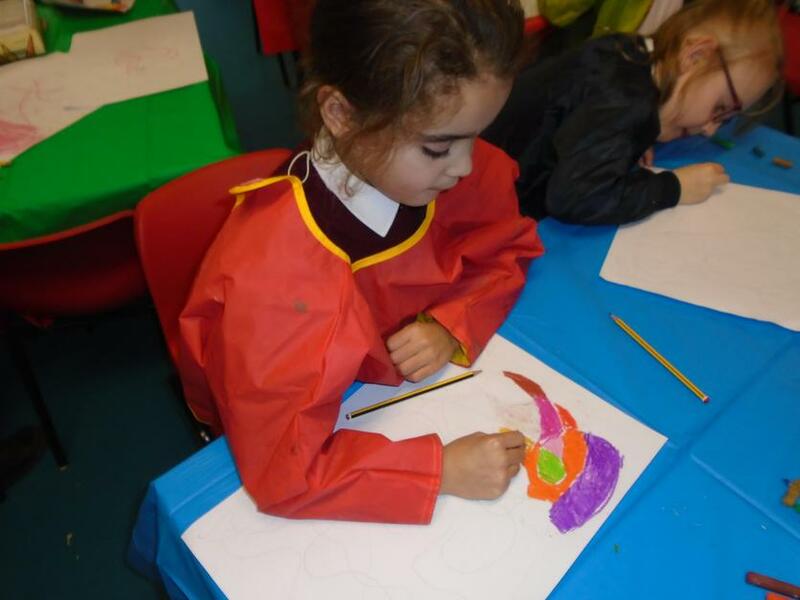 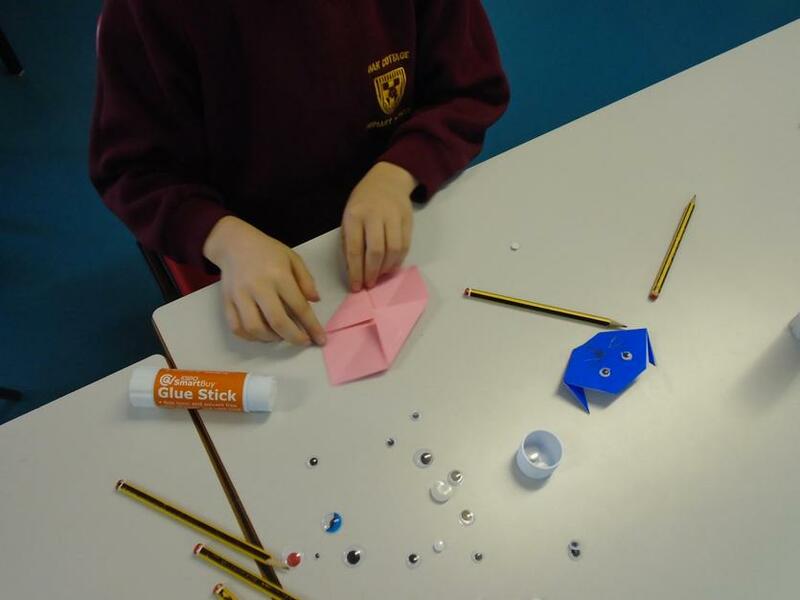 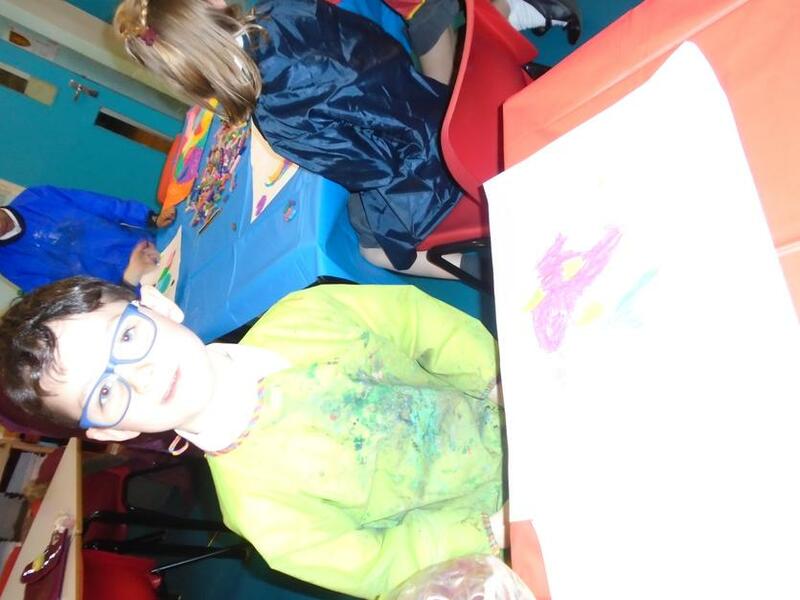 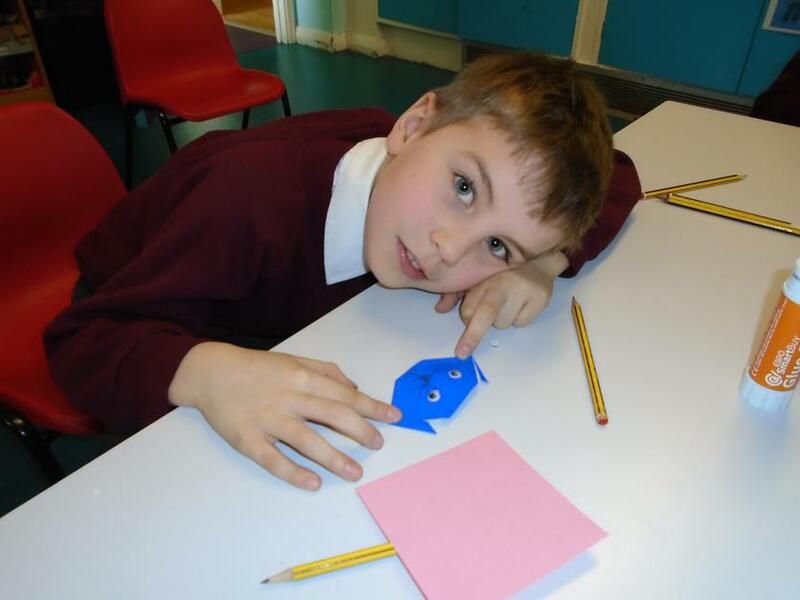 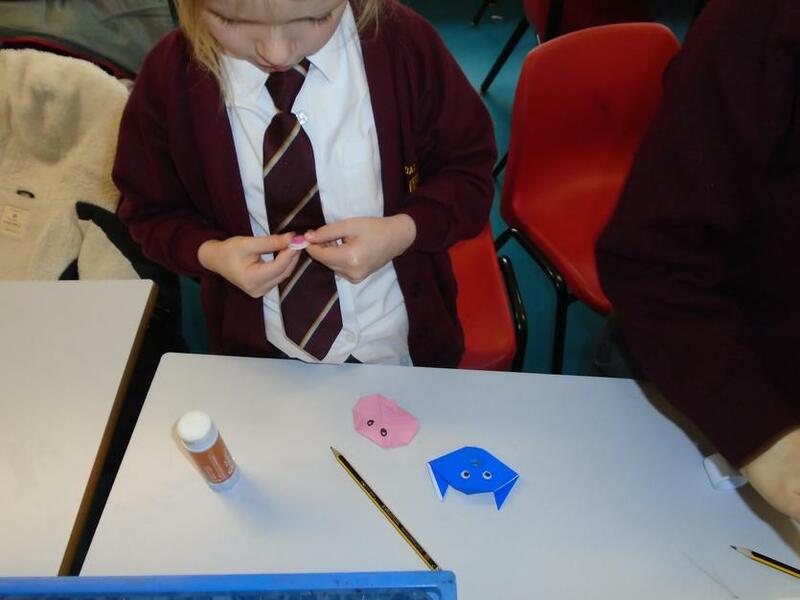 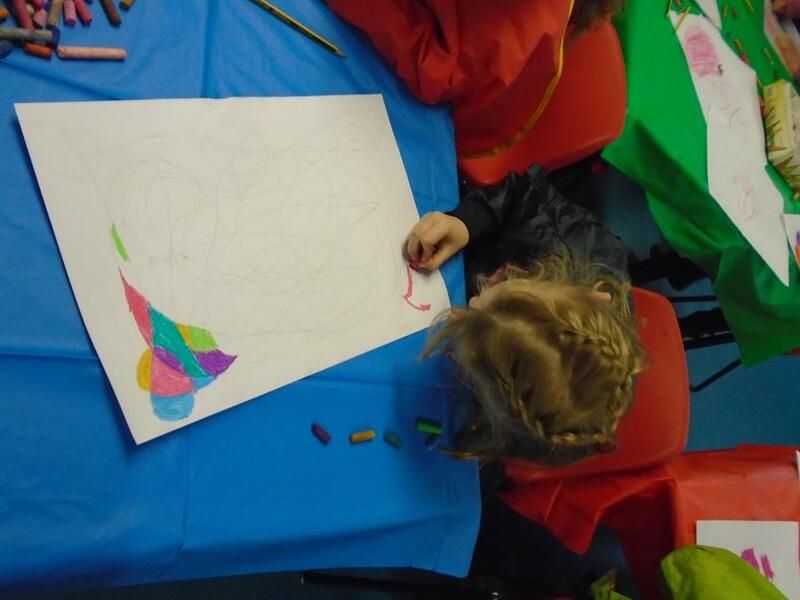 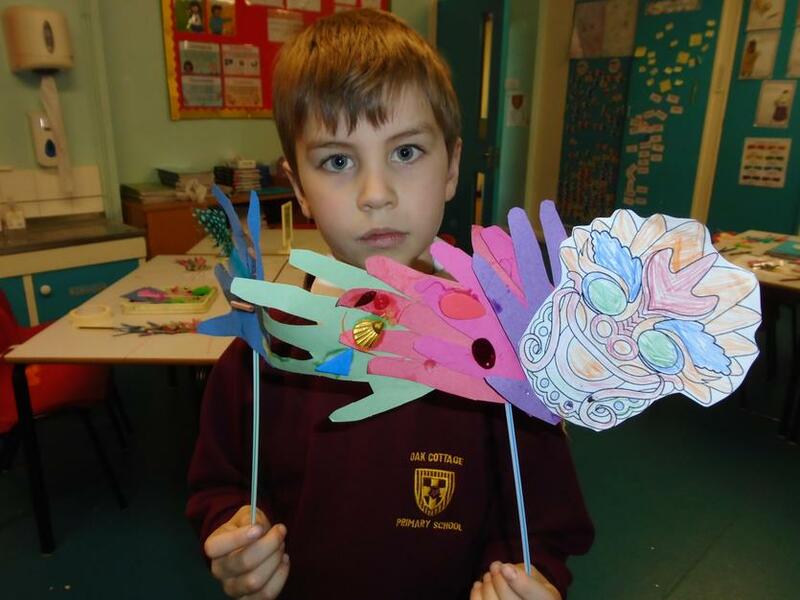 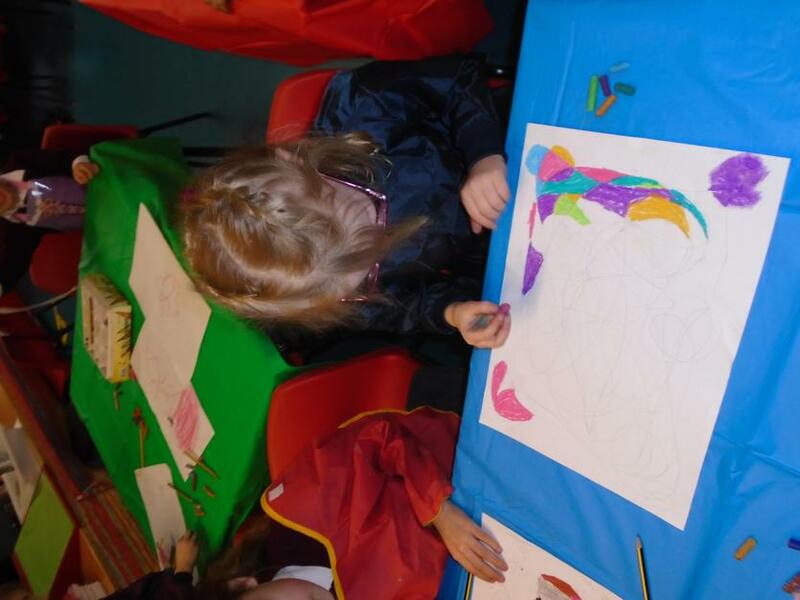 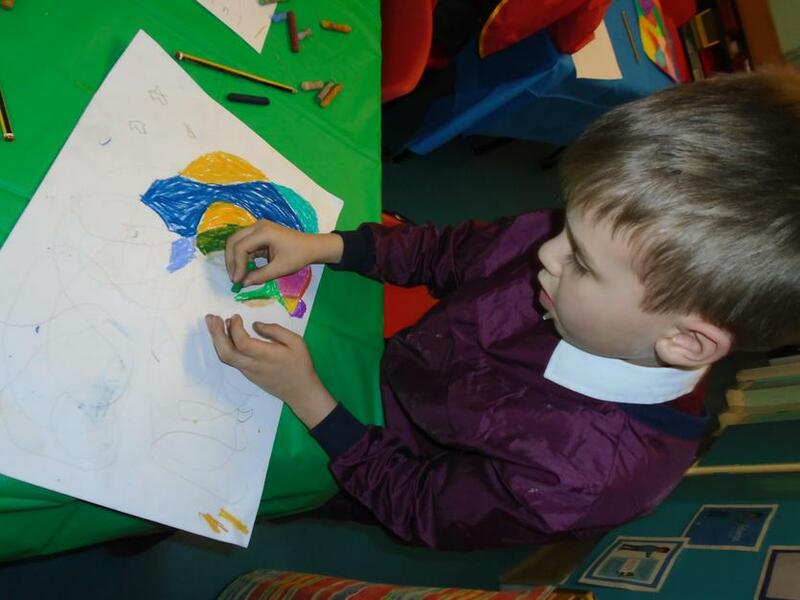 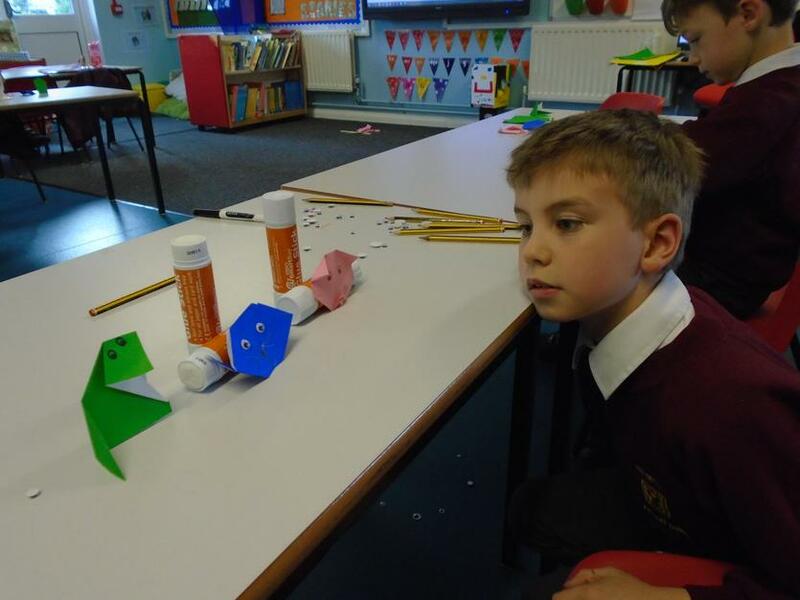 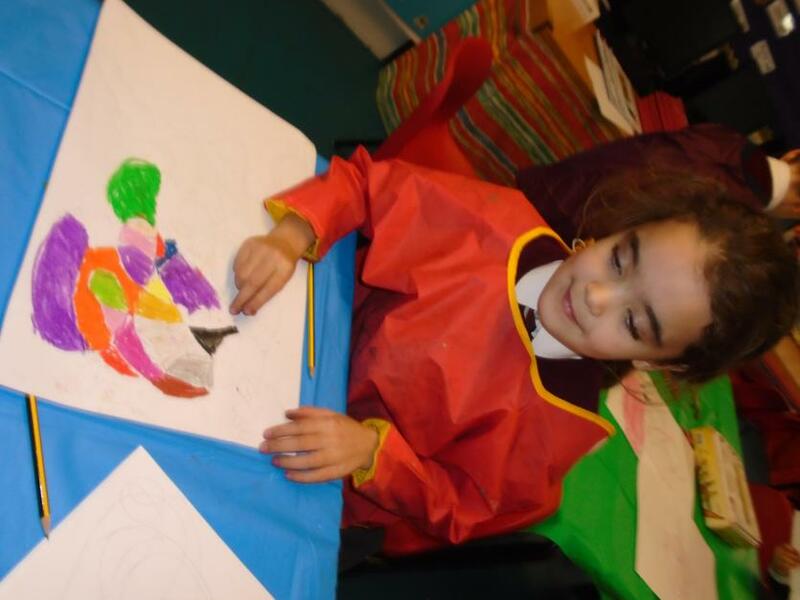 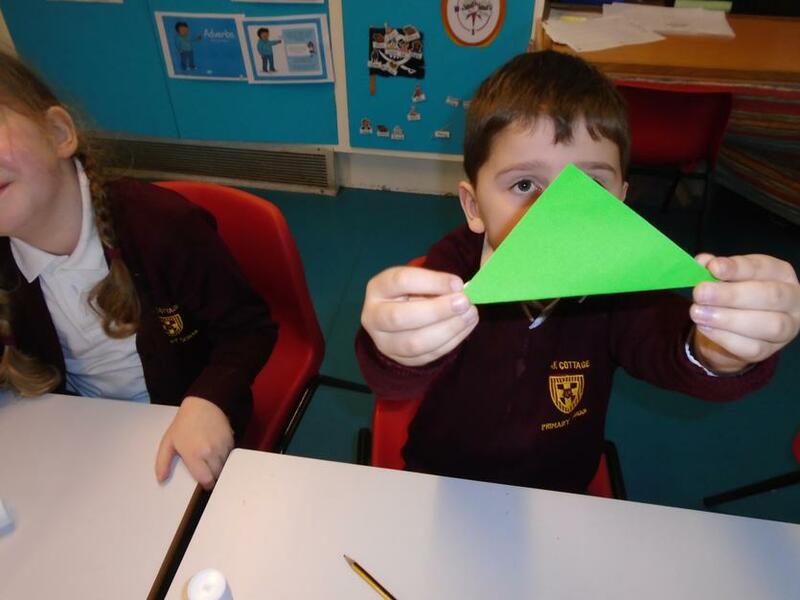 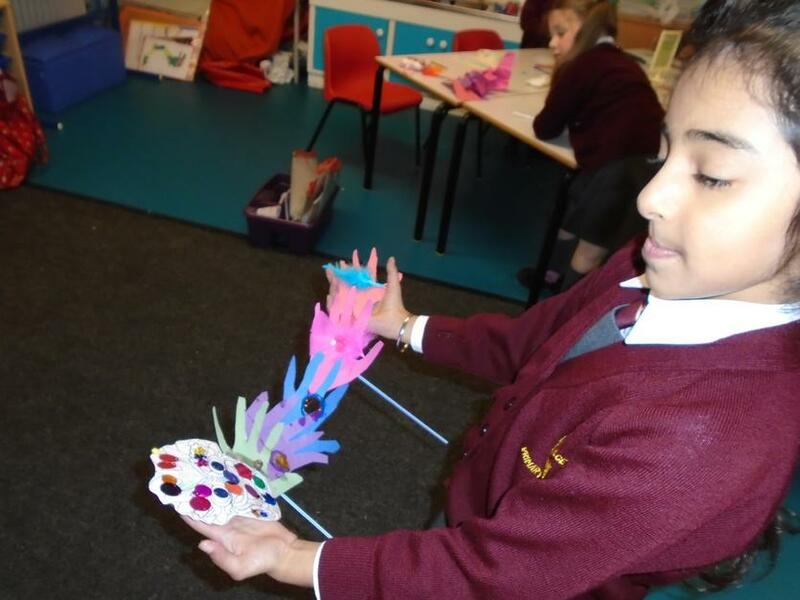 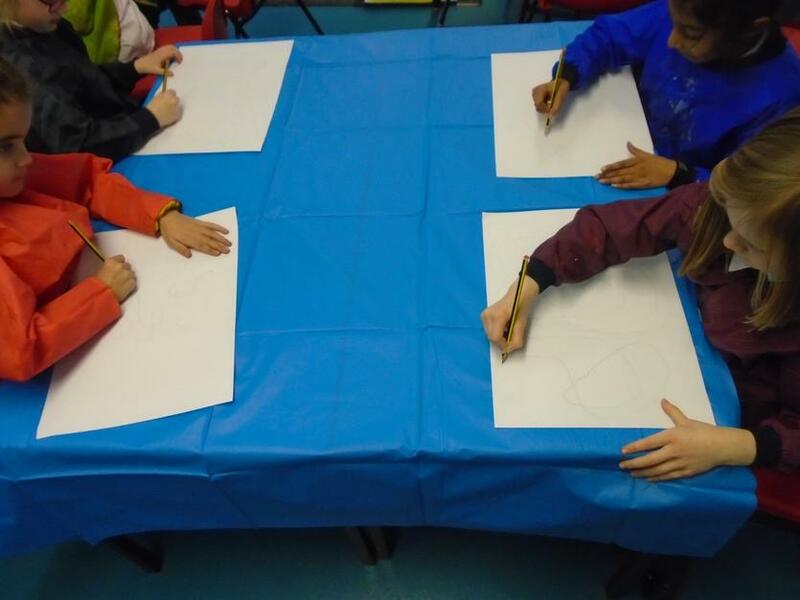 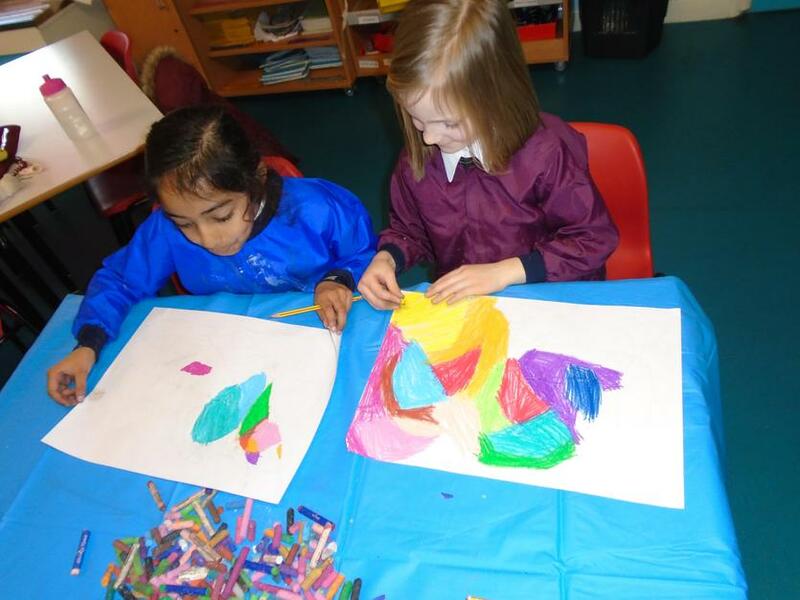 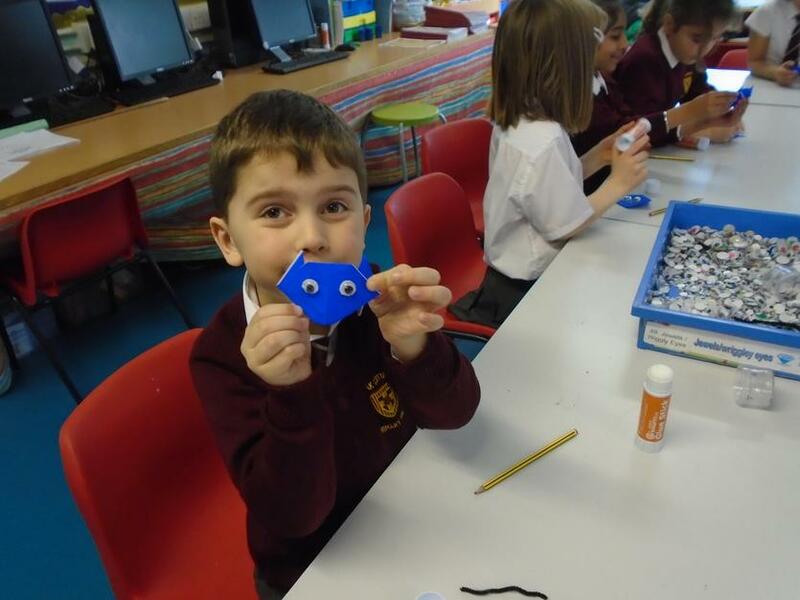 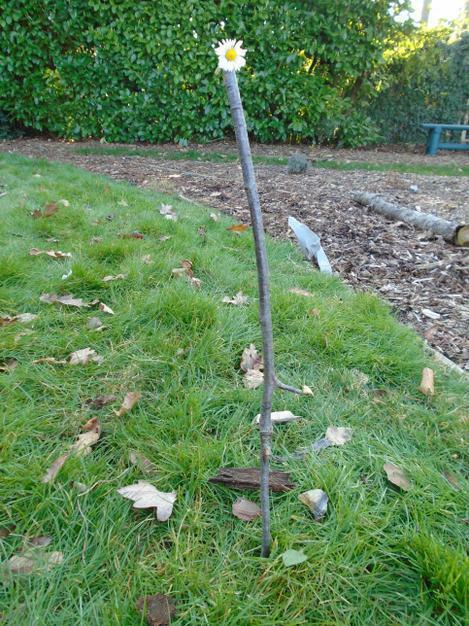 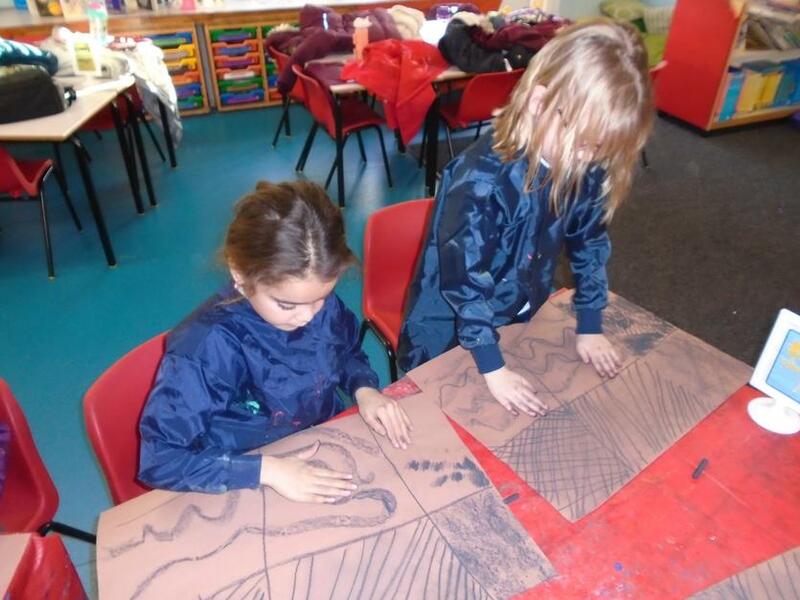 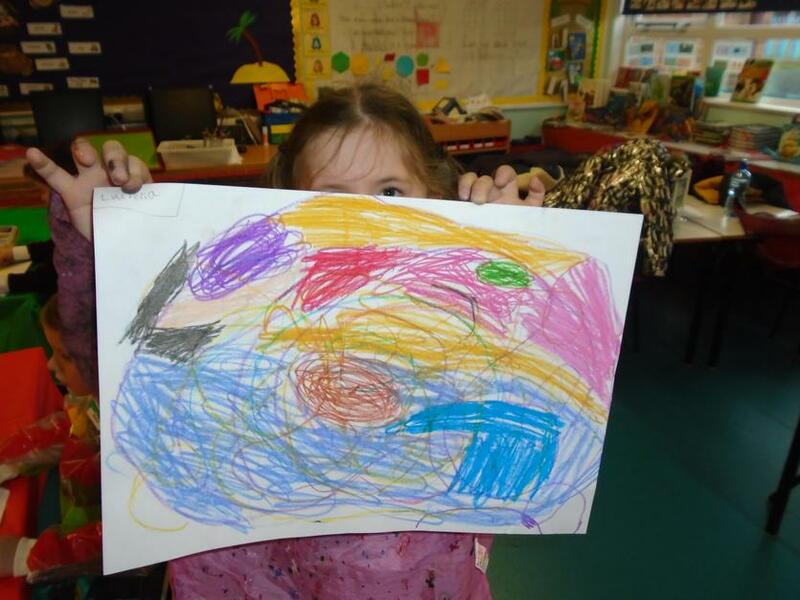 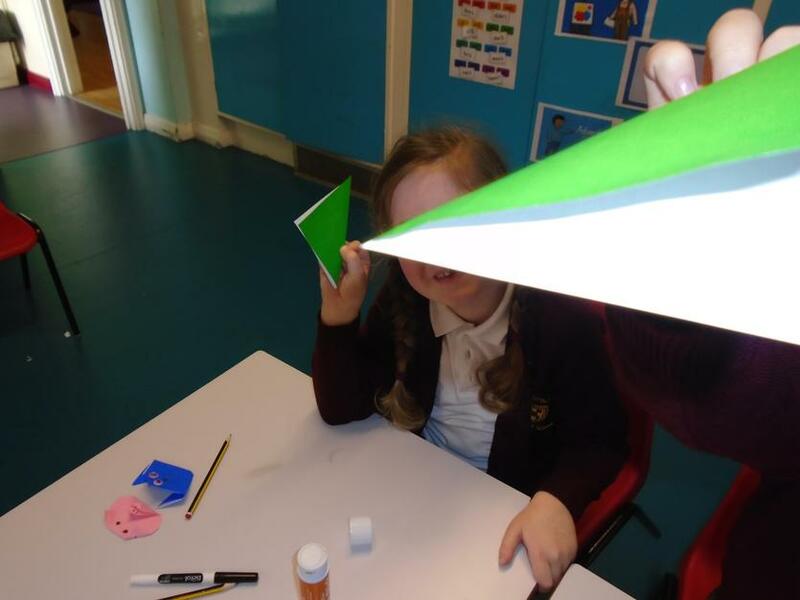 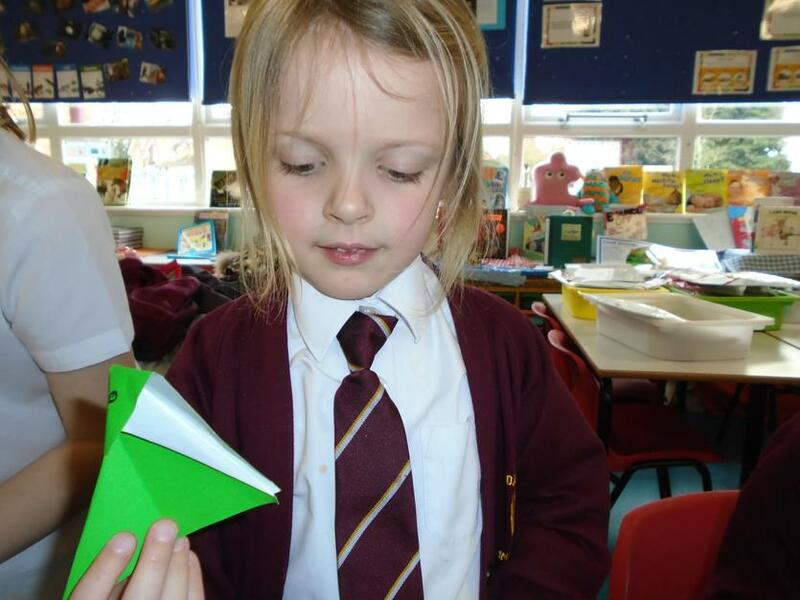 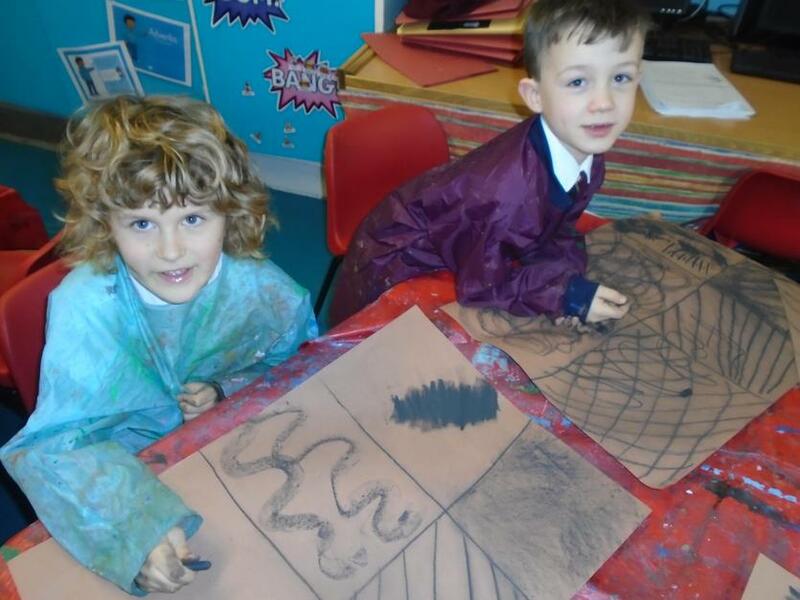 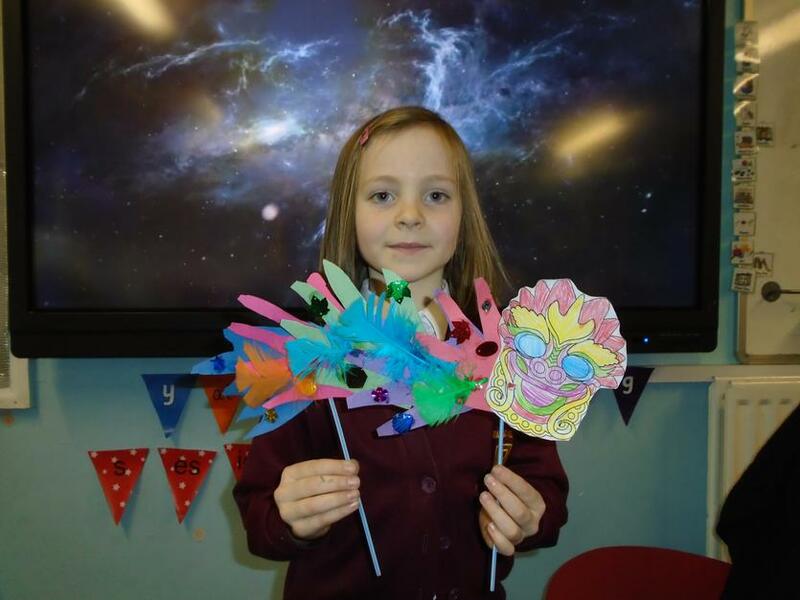 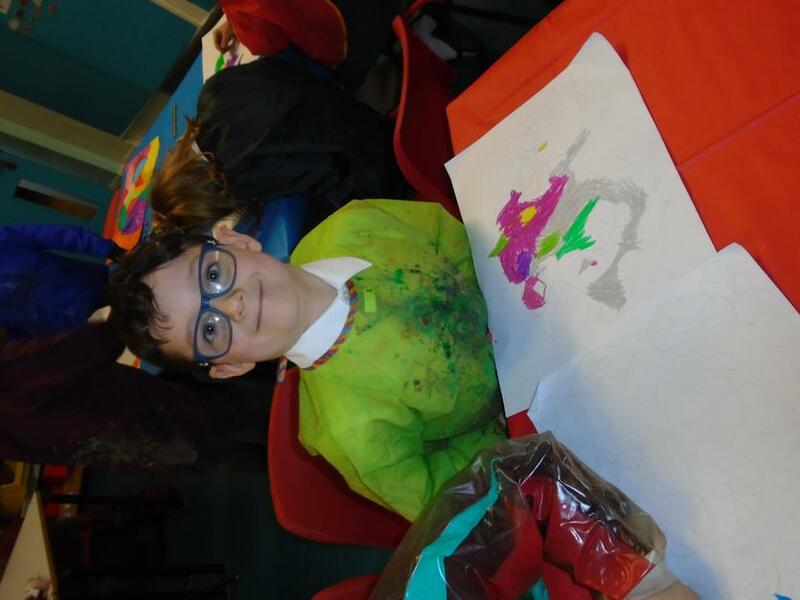 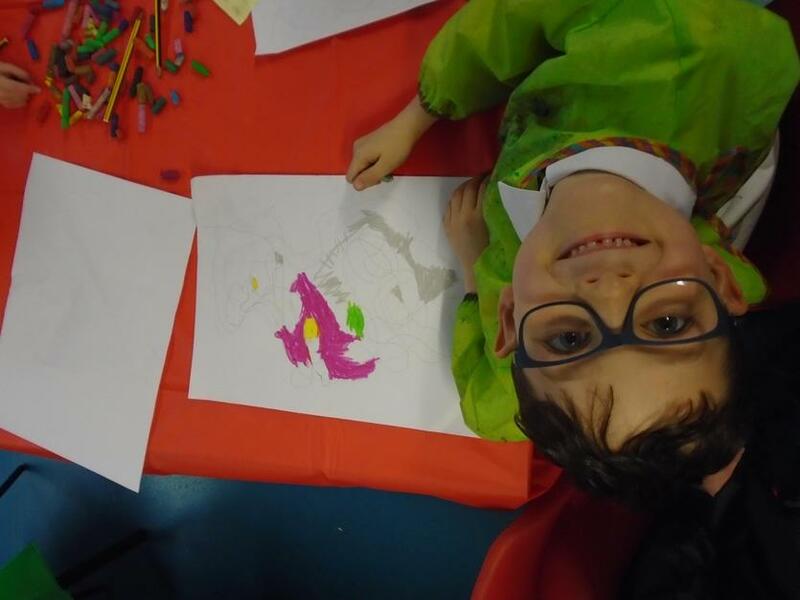 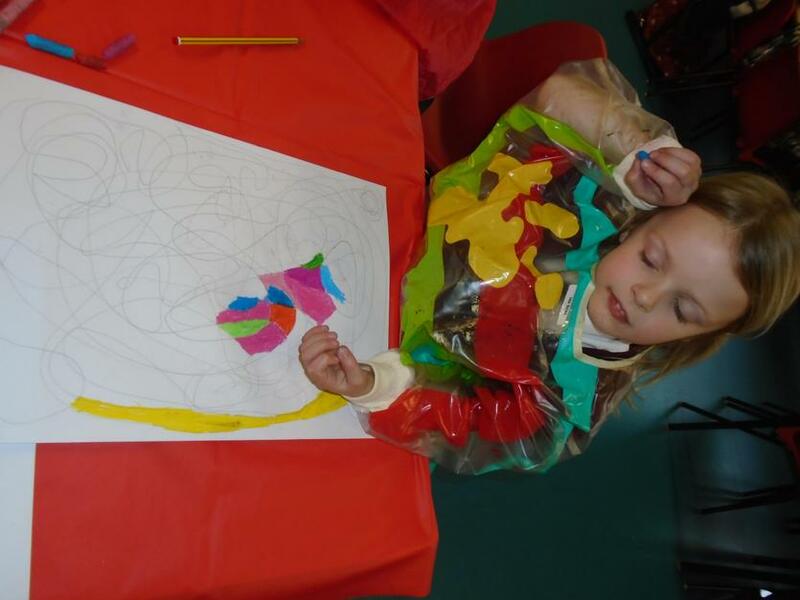 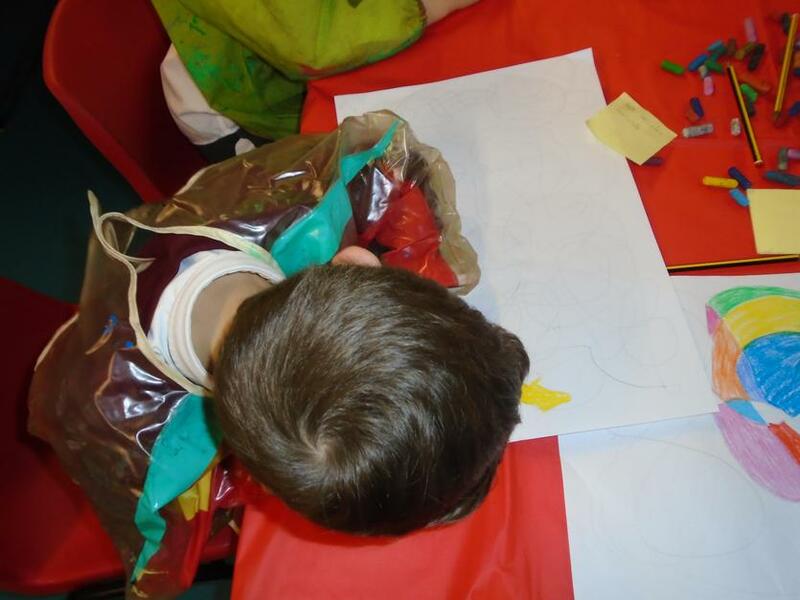 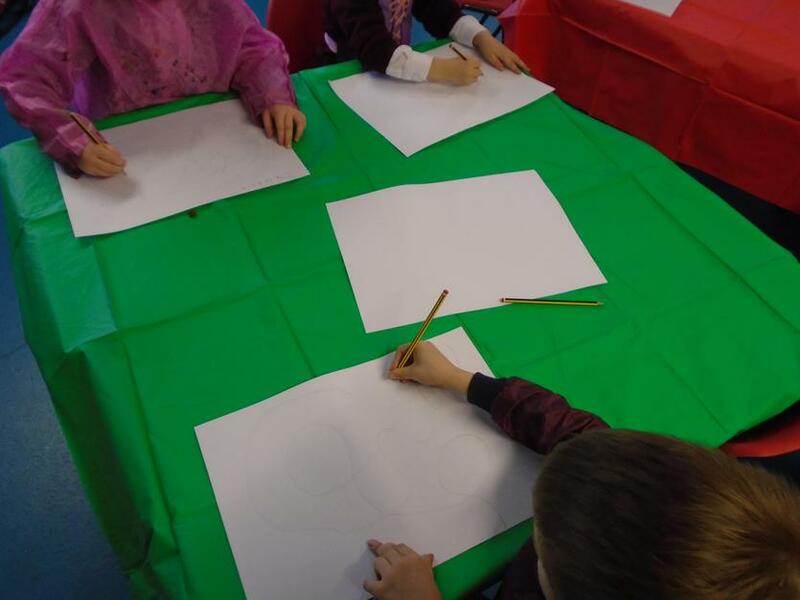 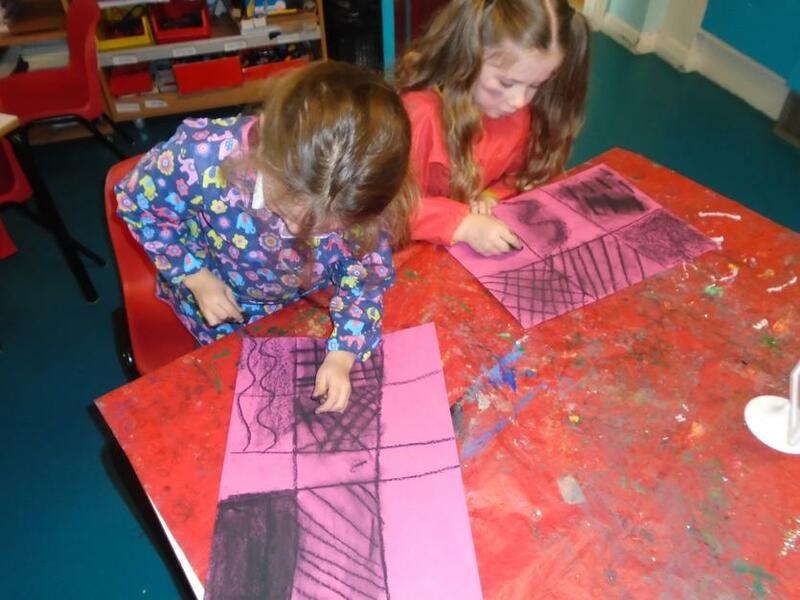 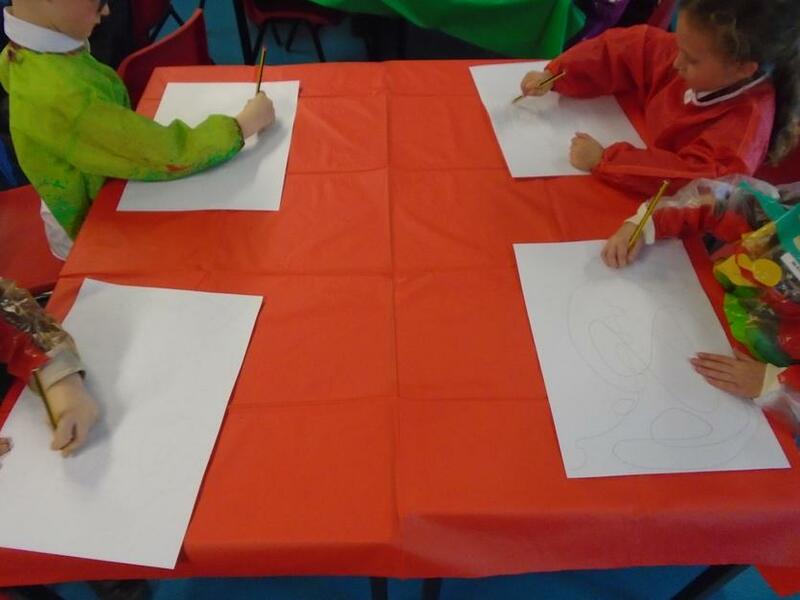 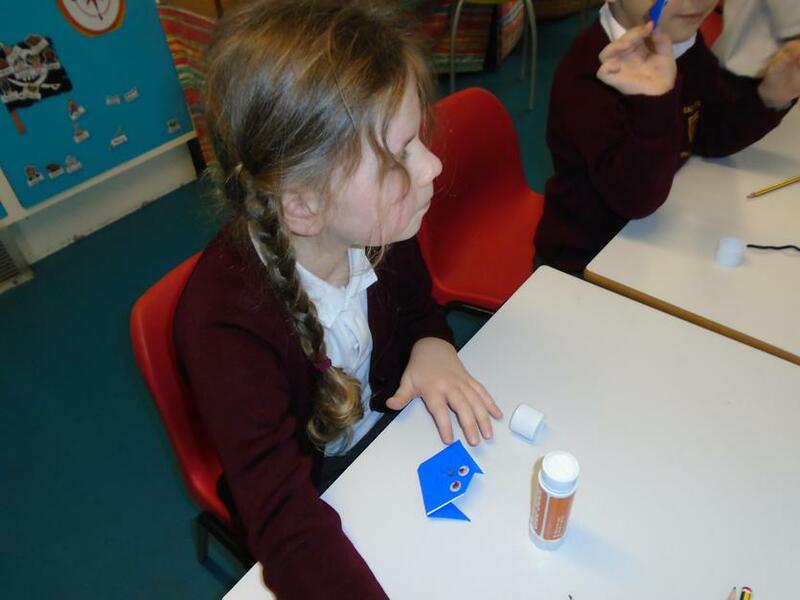 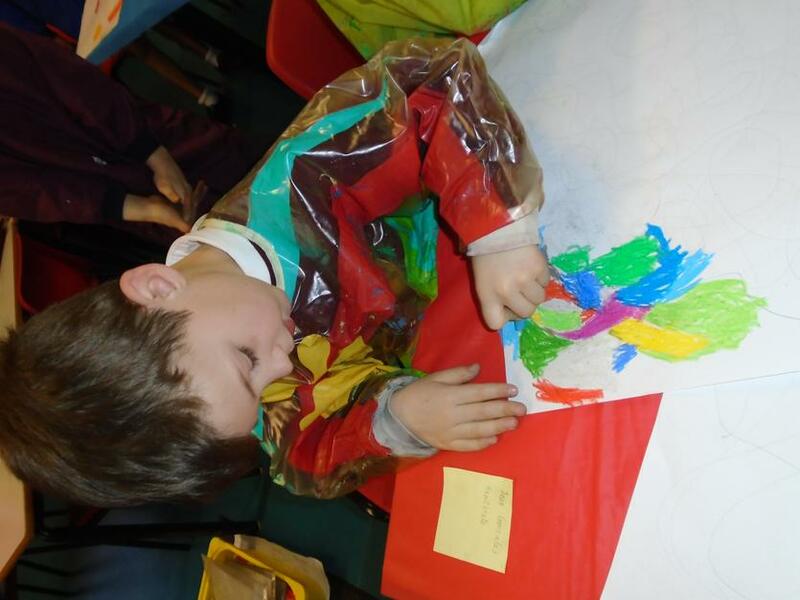 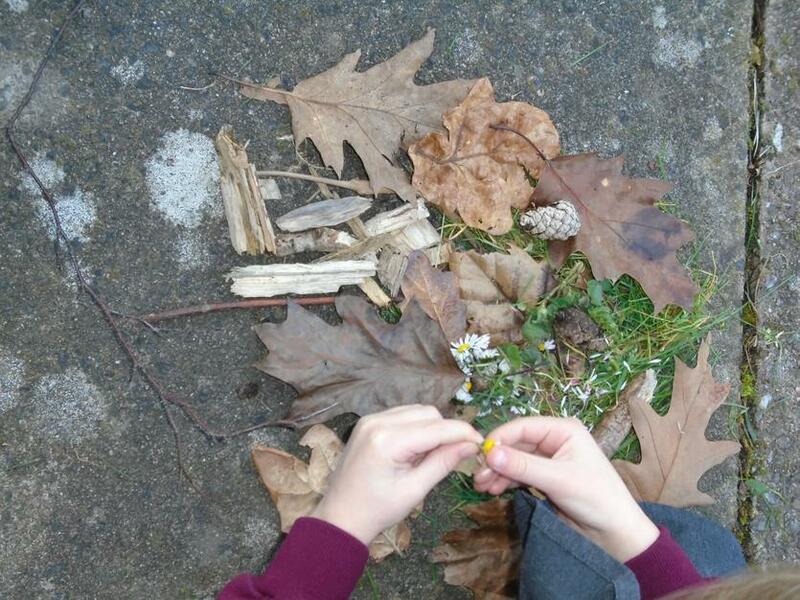 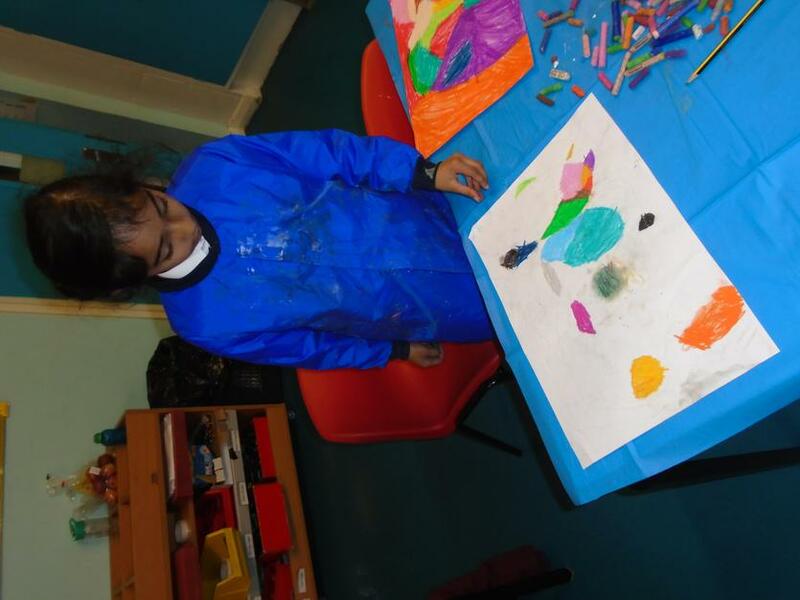 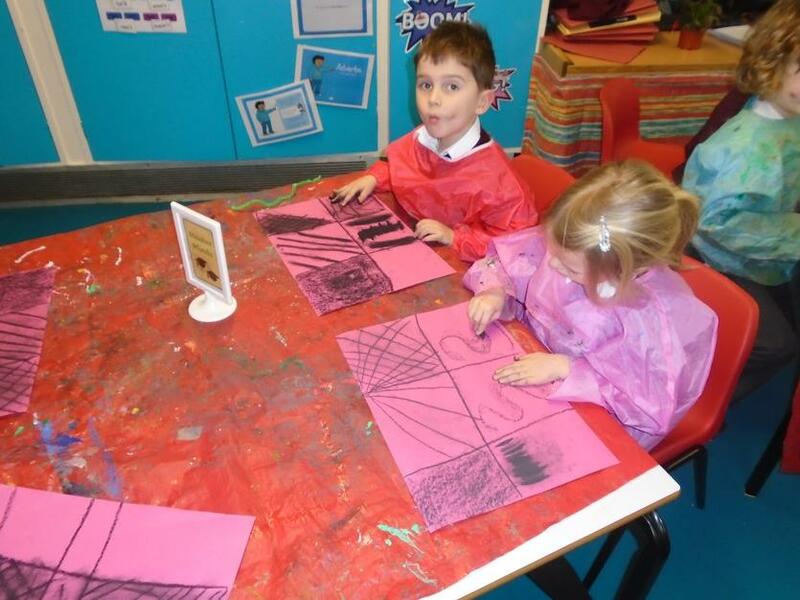 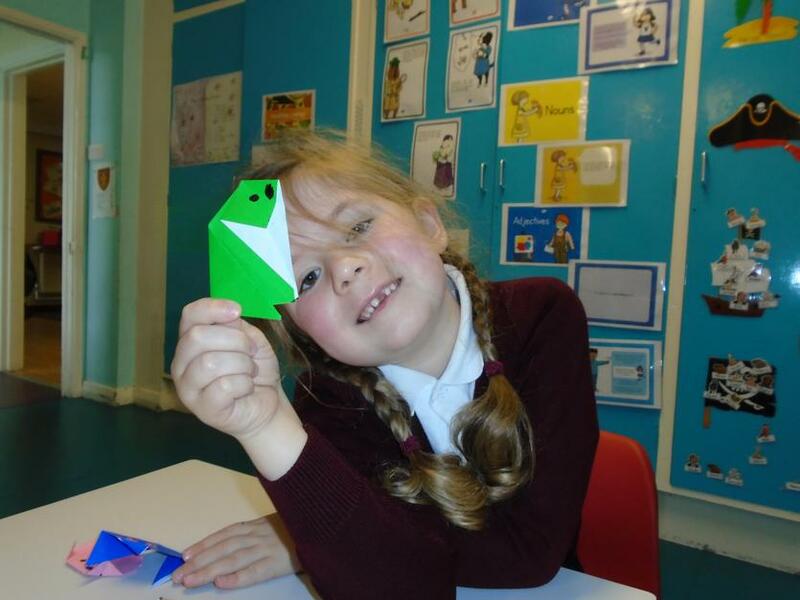 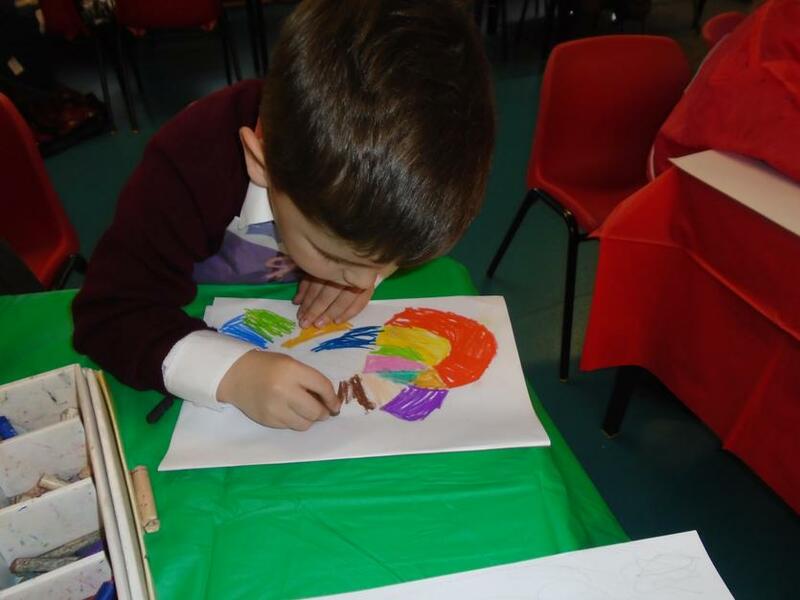 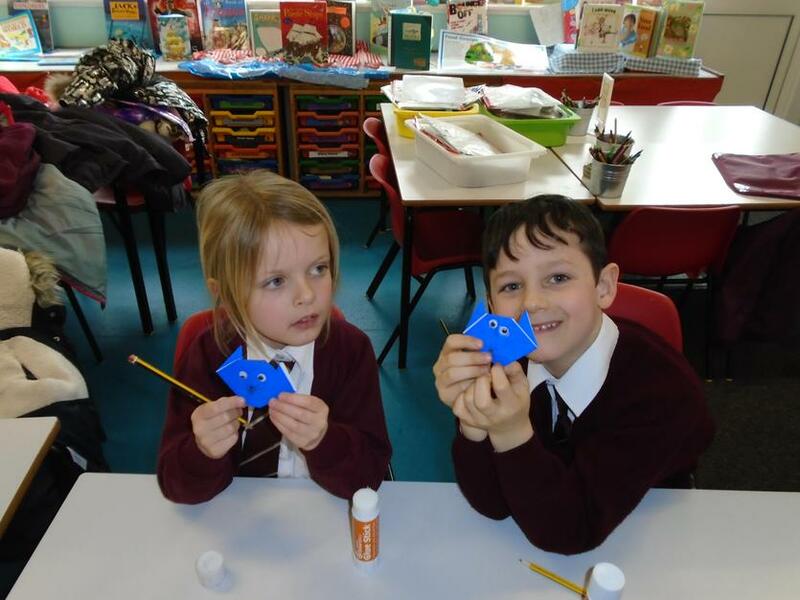 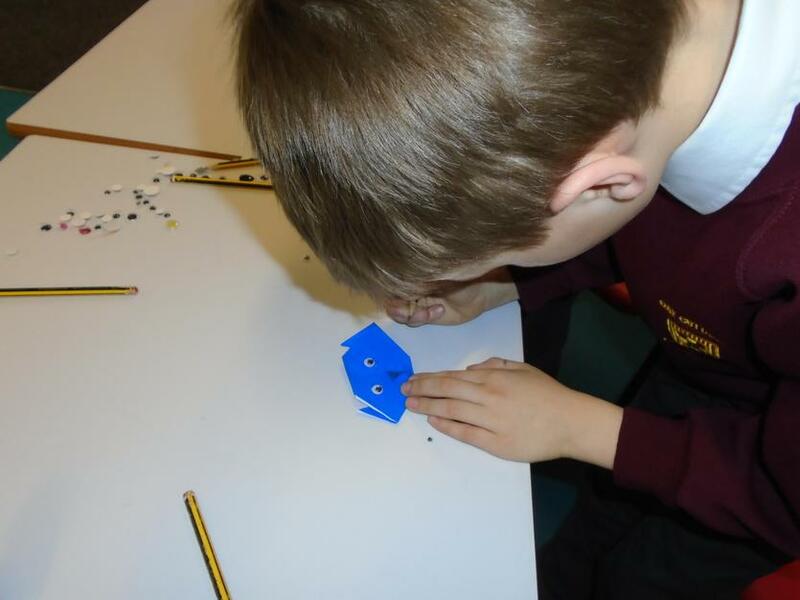 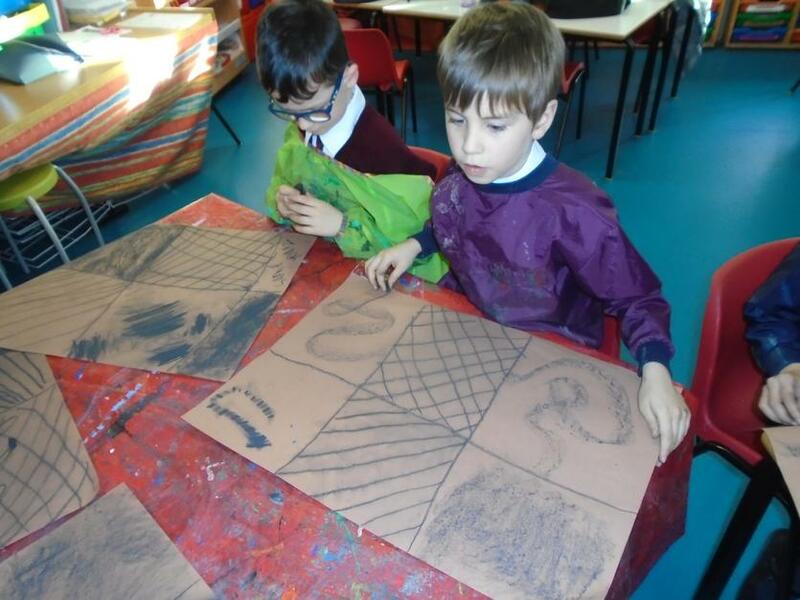 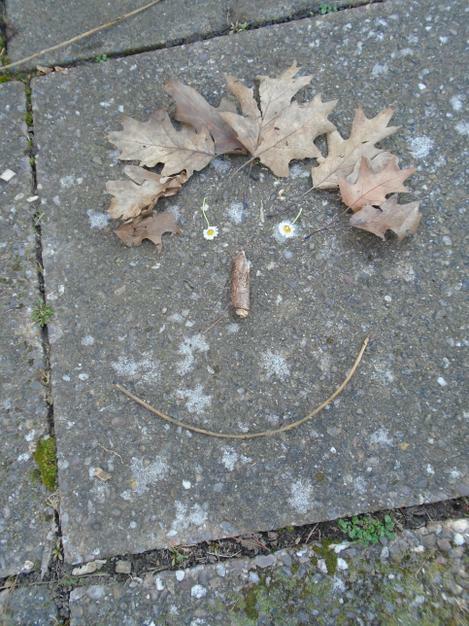 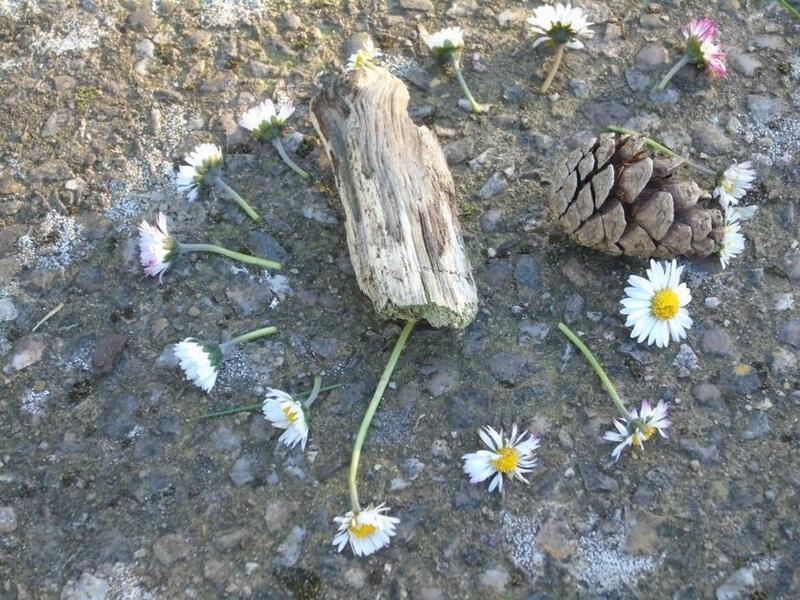 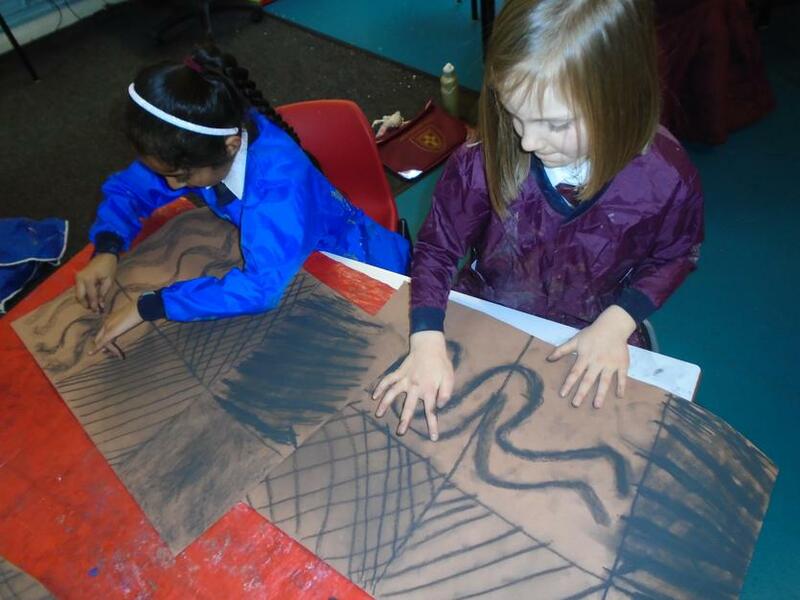 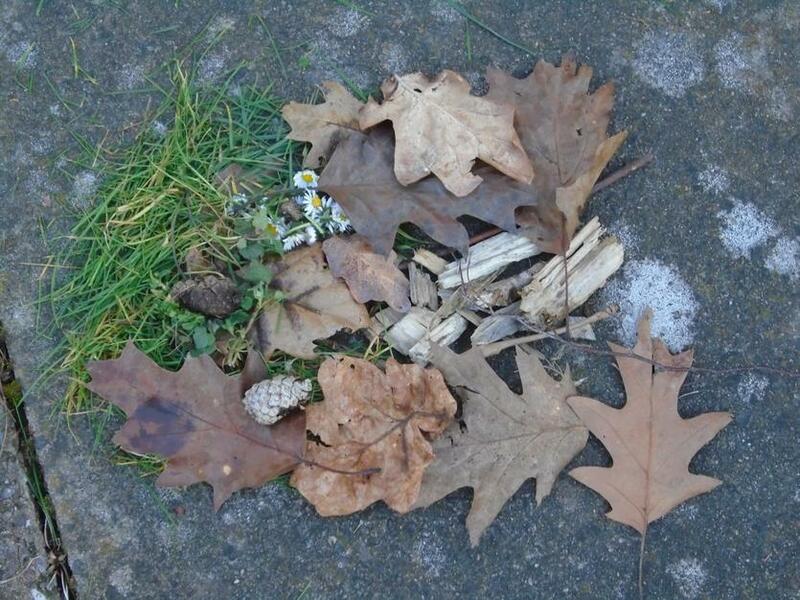 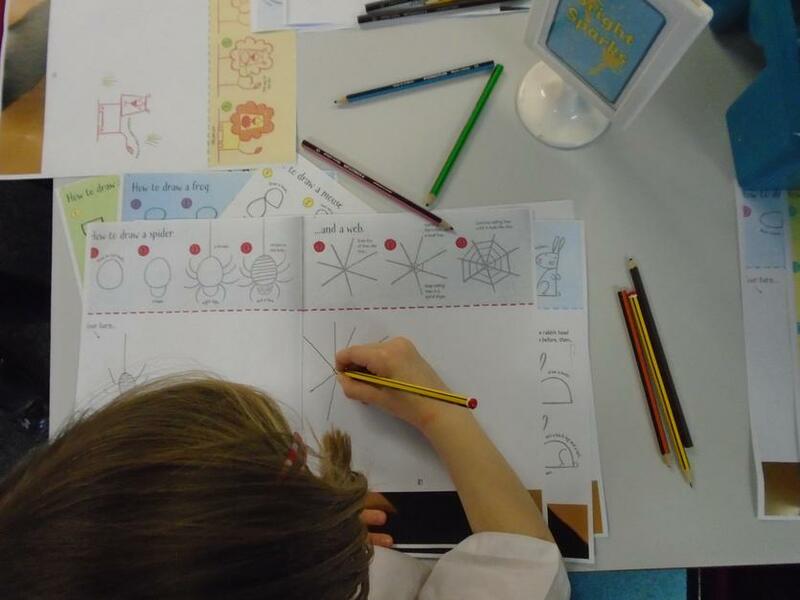 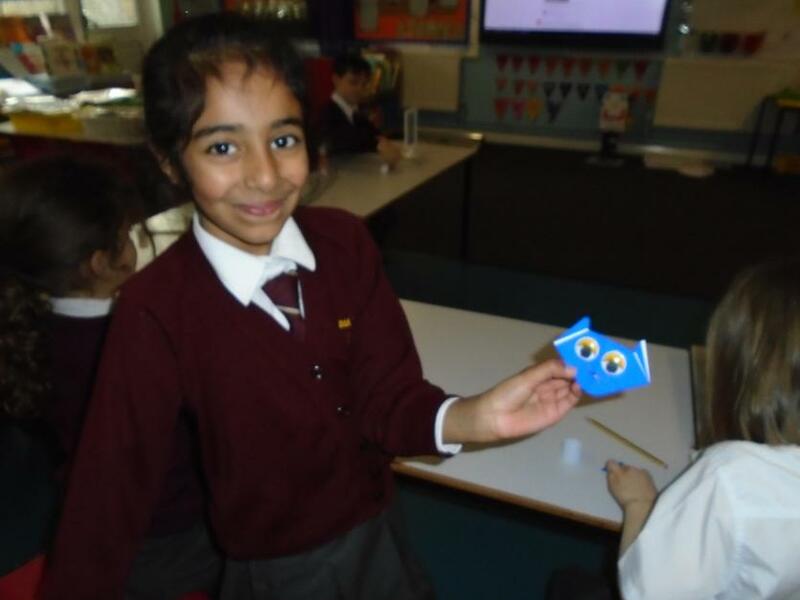 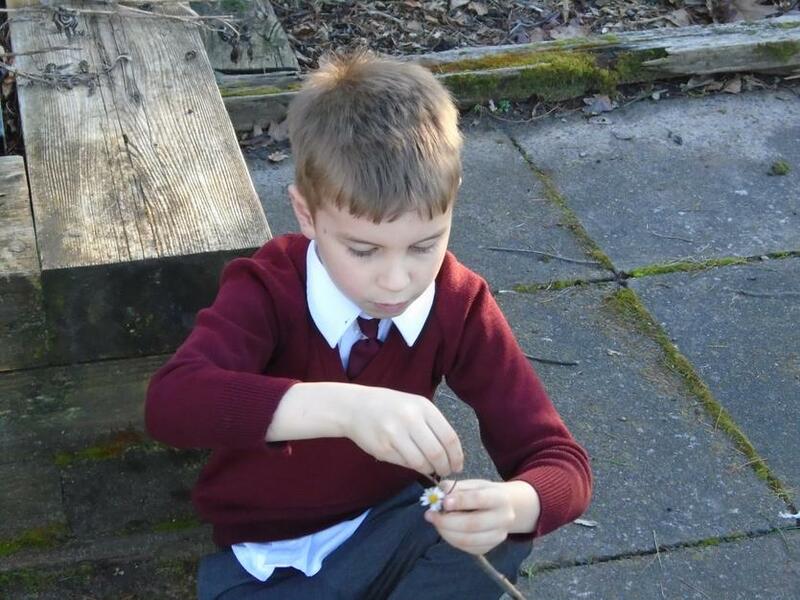 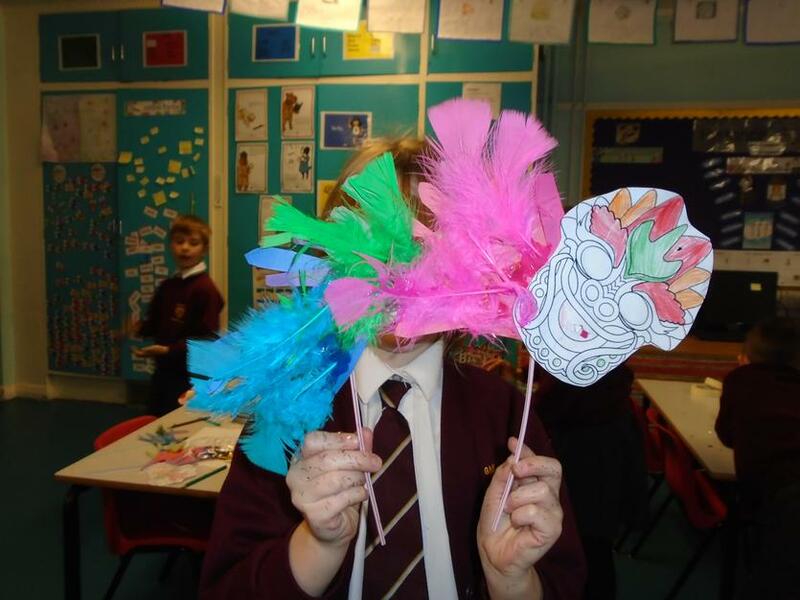 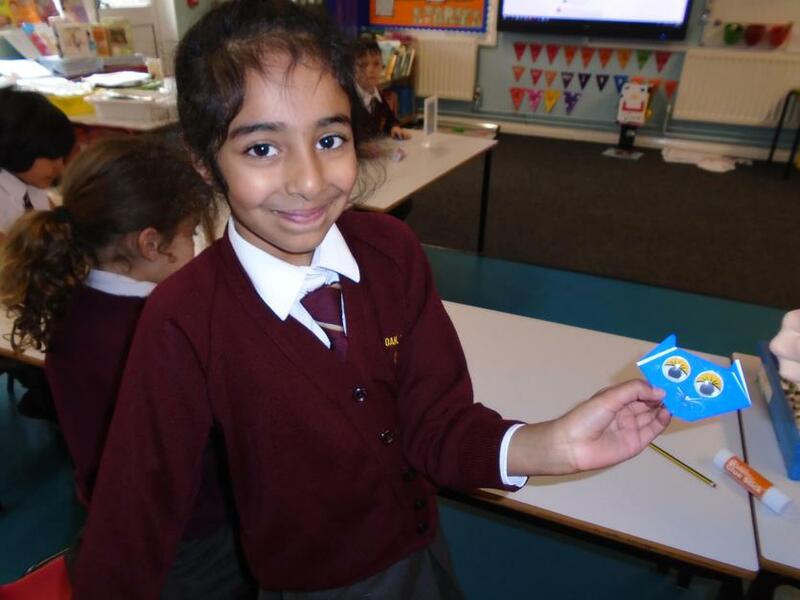 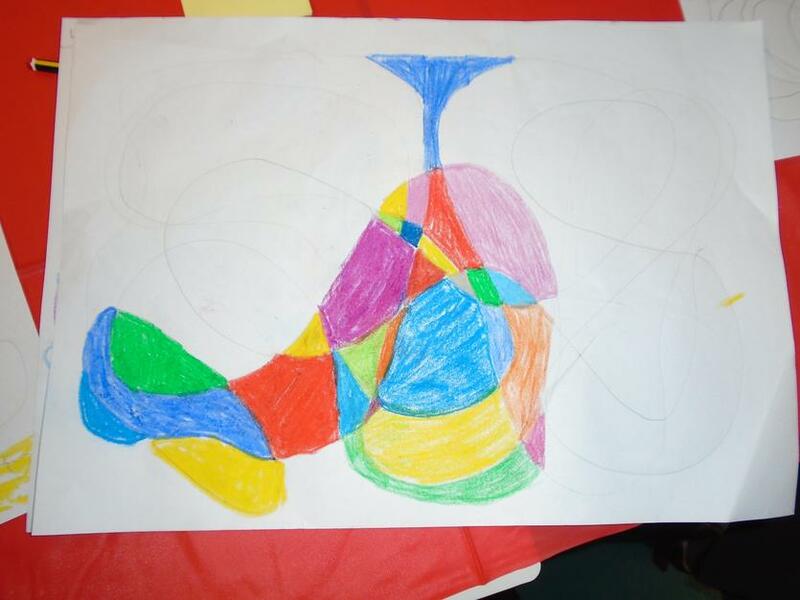 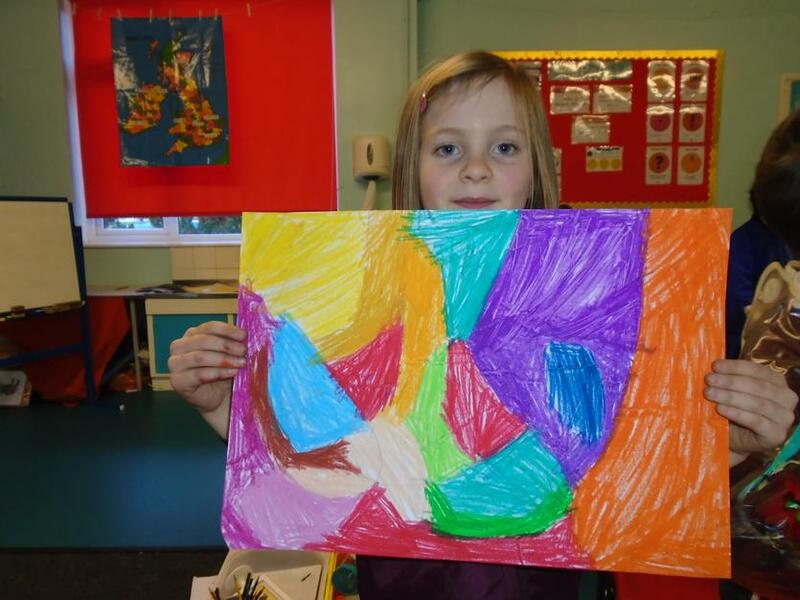 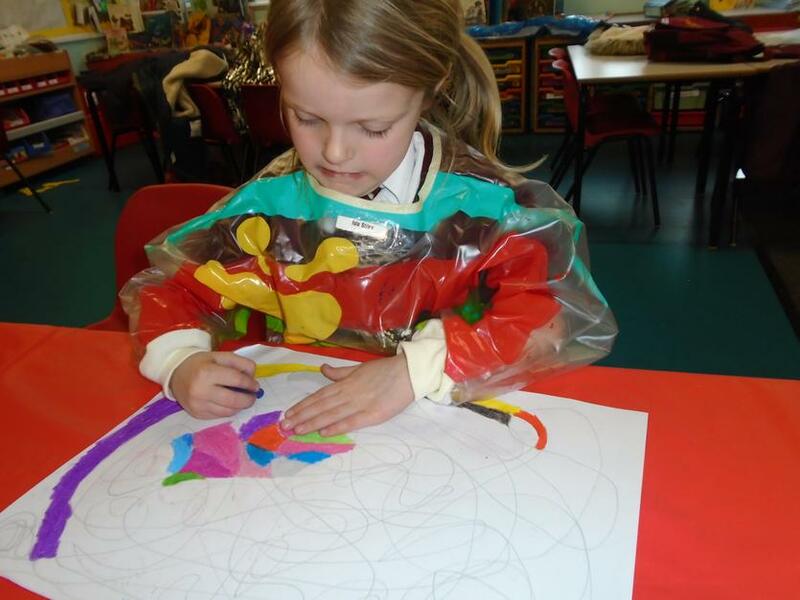 Art Club for Year 1 and Year 2 children is held every Monday after school. 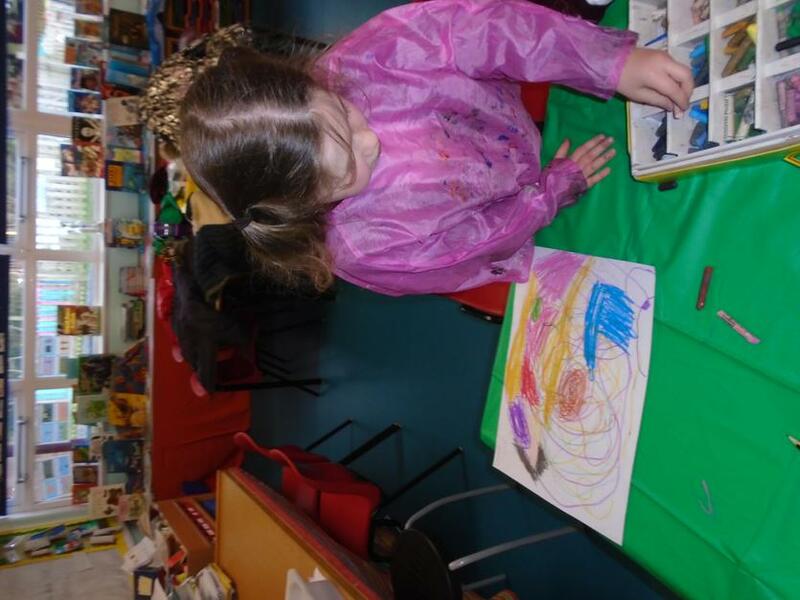 Come along and join in the fun! 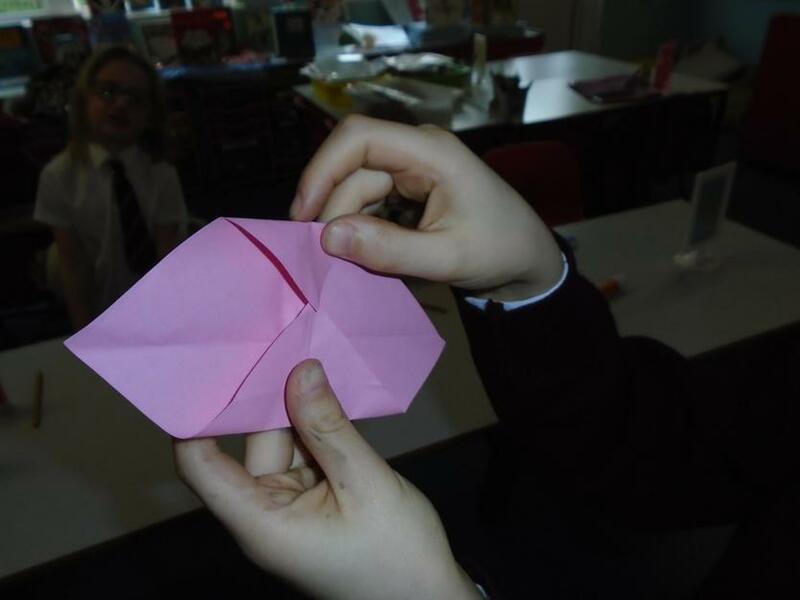 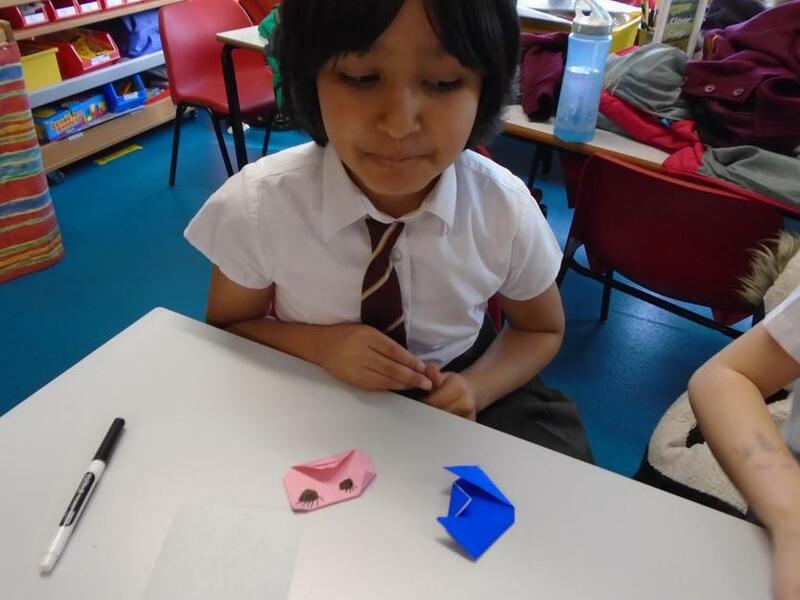 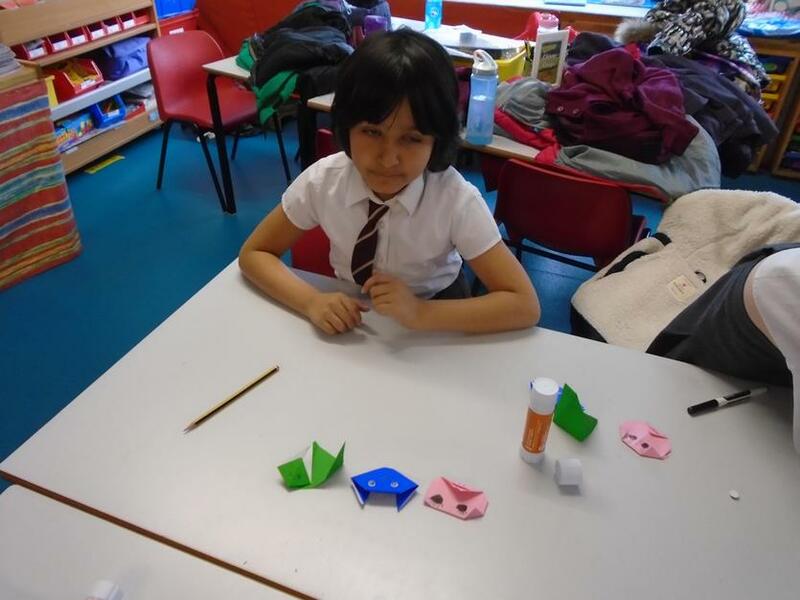 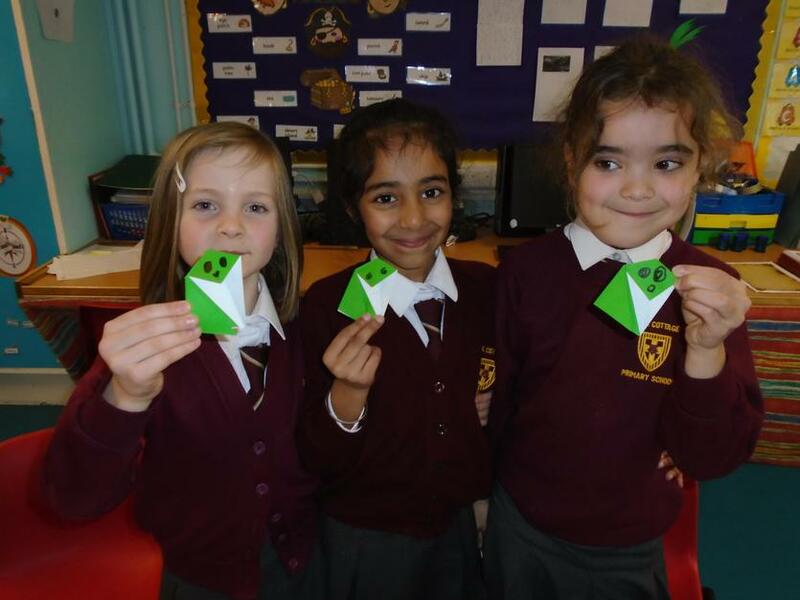 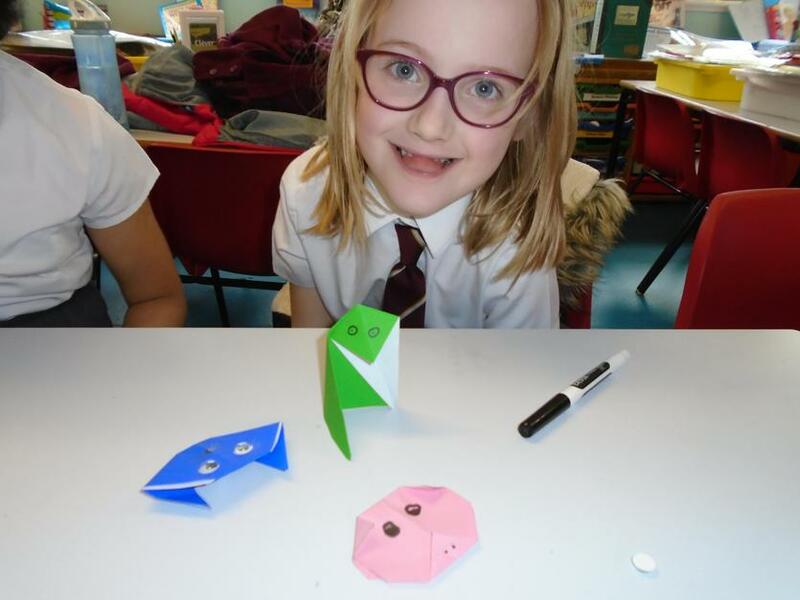 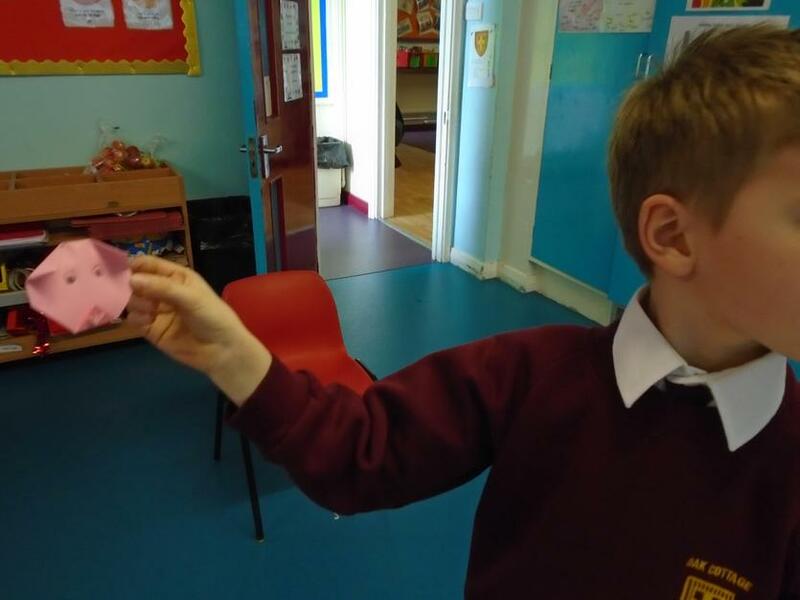 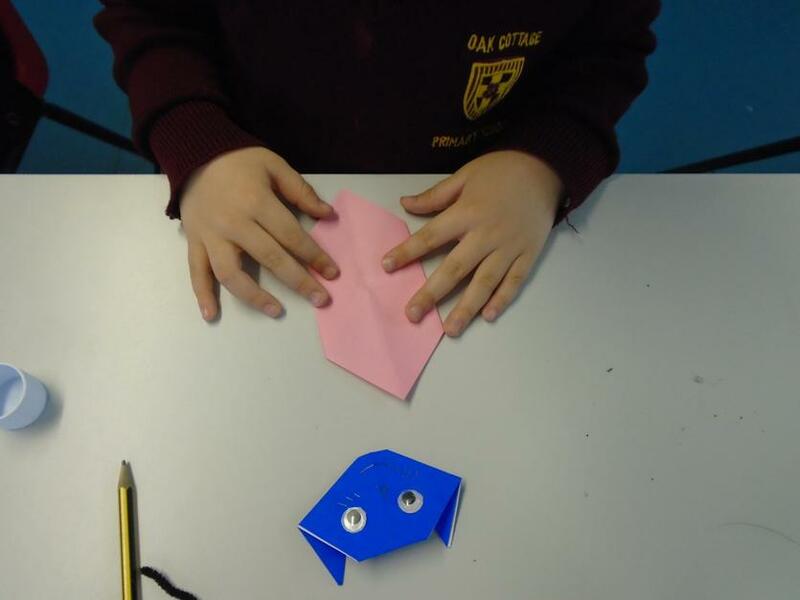 Today we attempted origami! 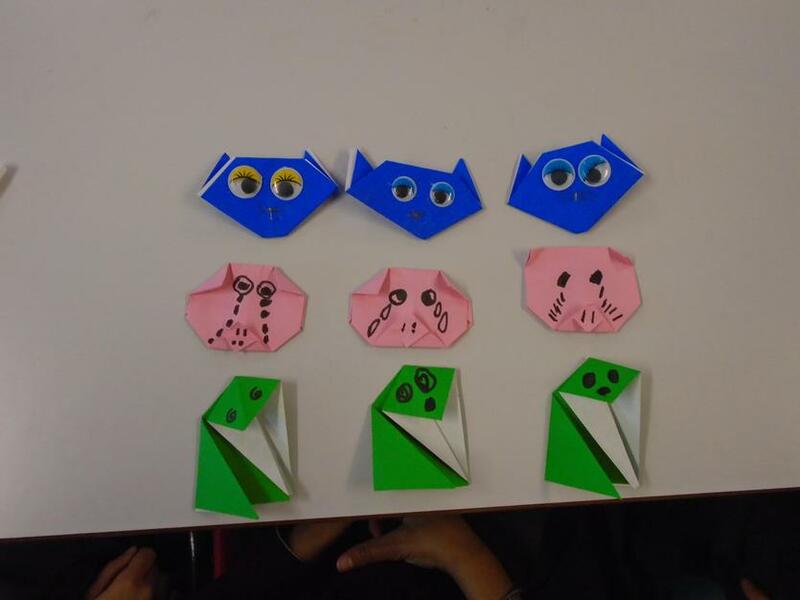 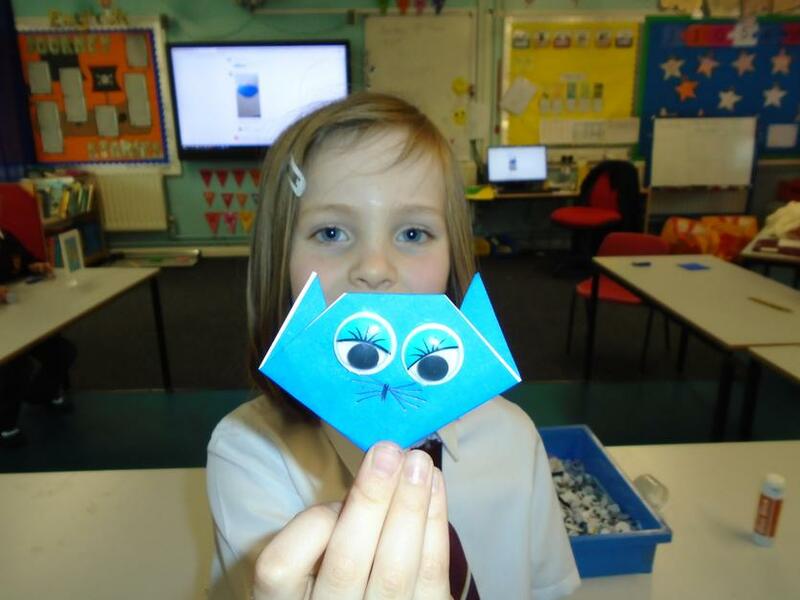 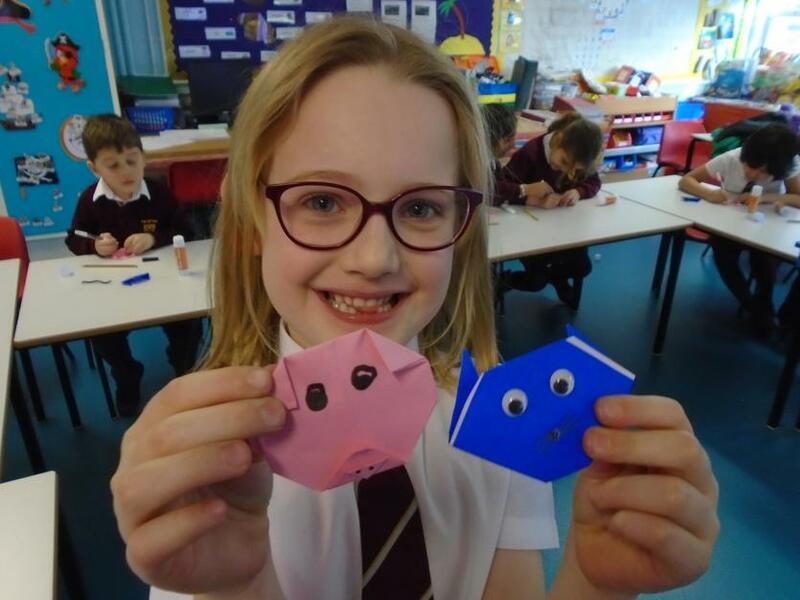 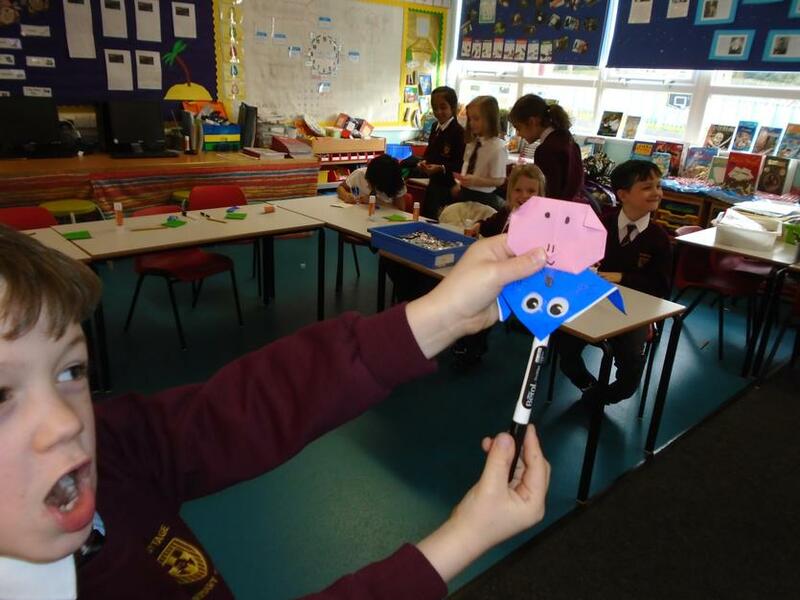 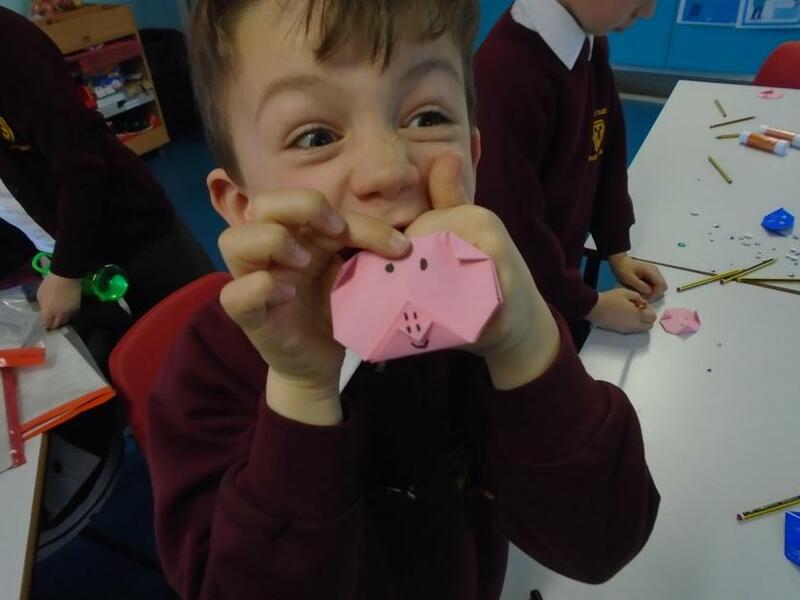 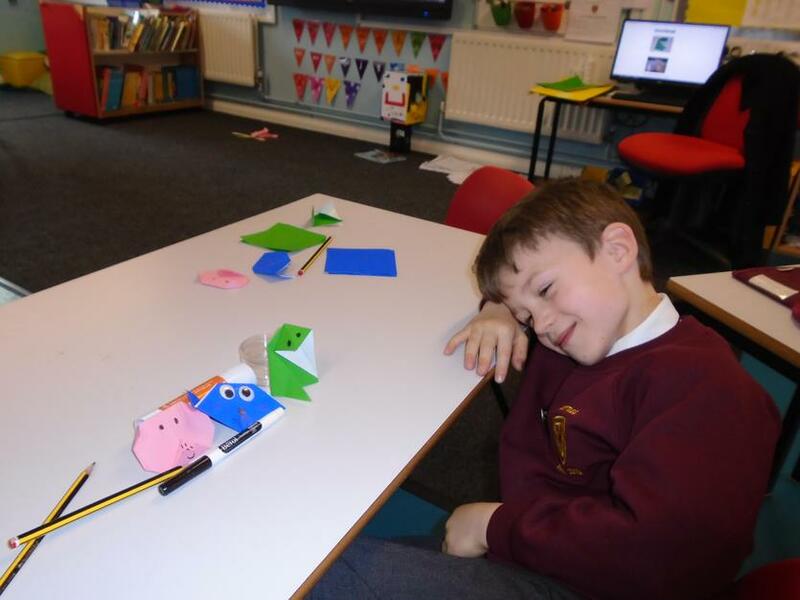 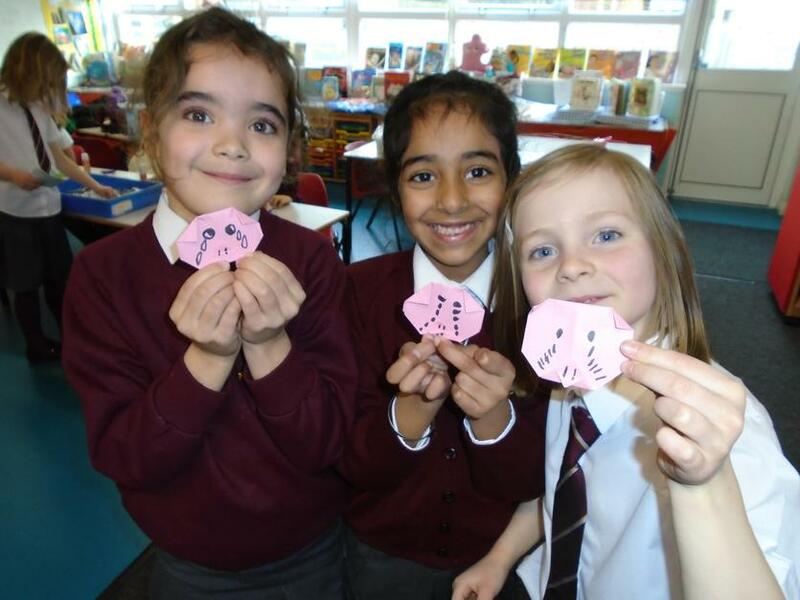 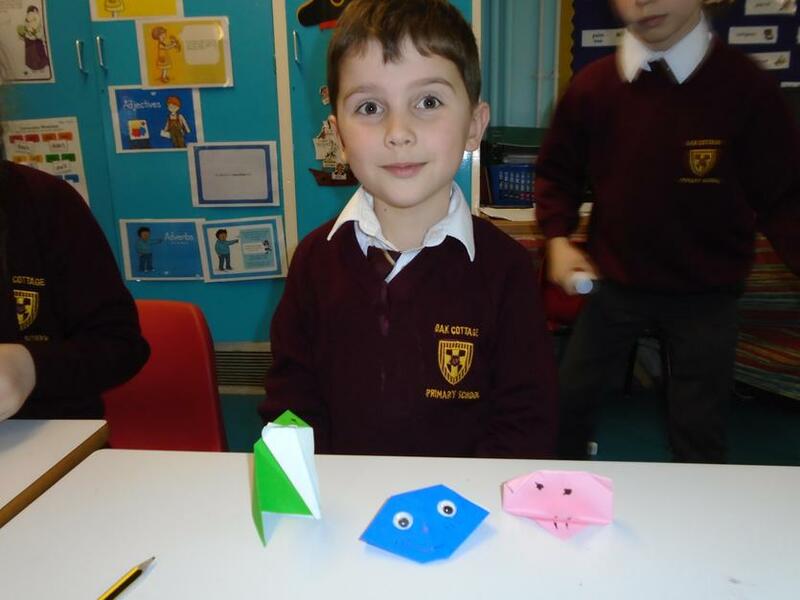 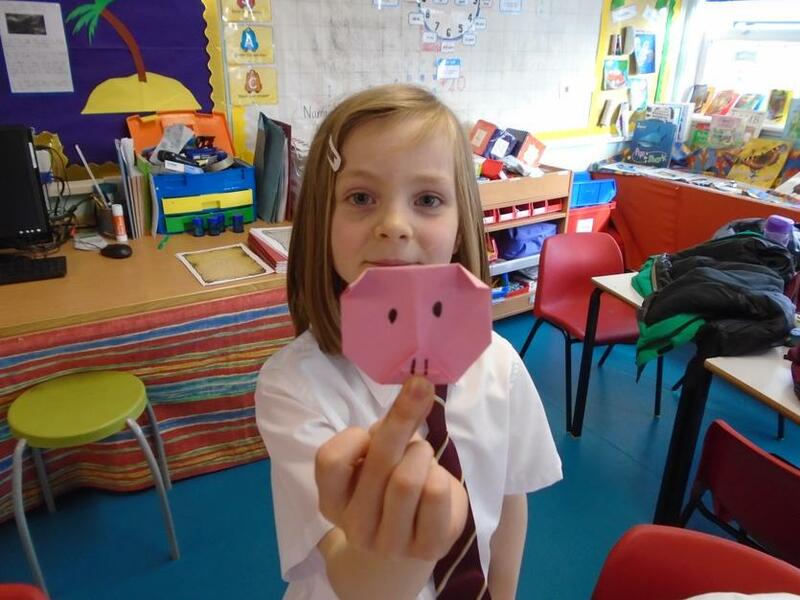 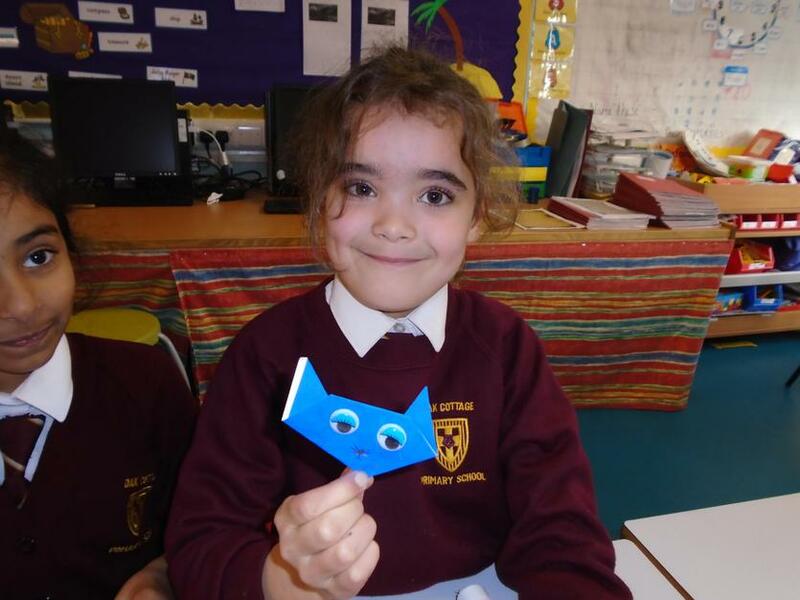 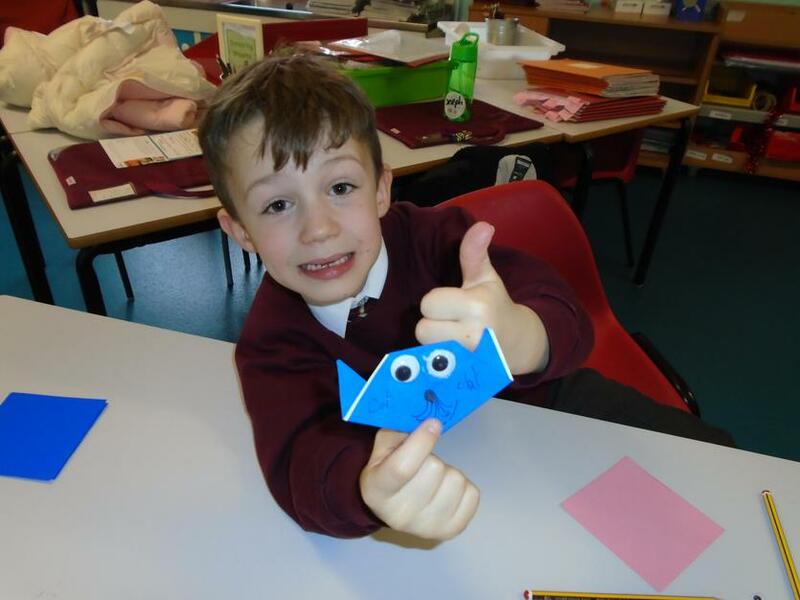 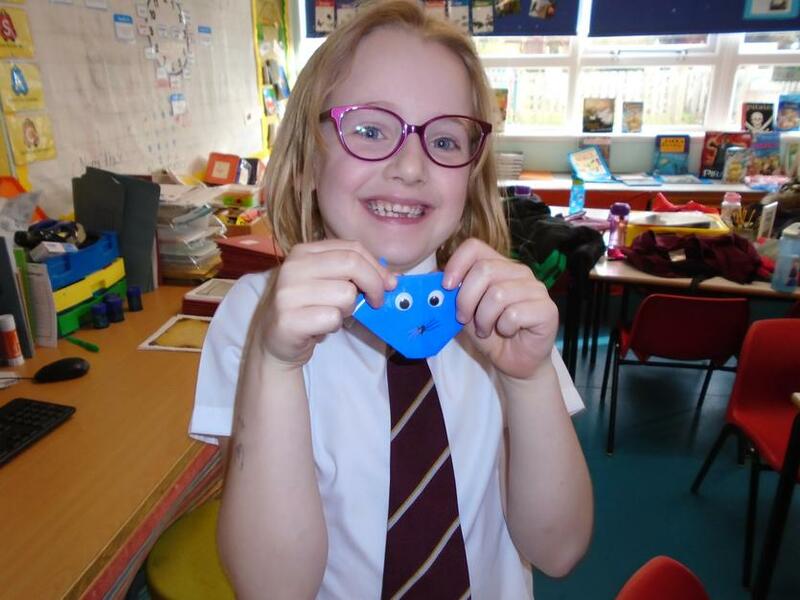 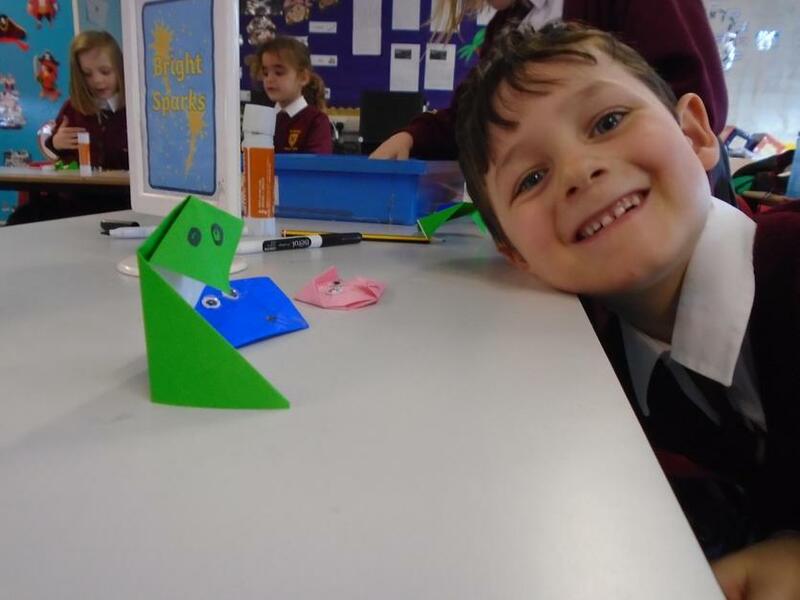 We followed step-by-step instructions to make frogs, pigs and cats! 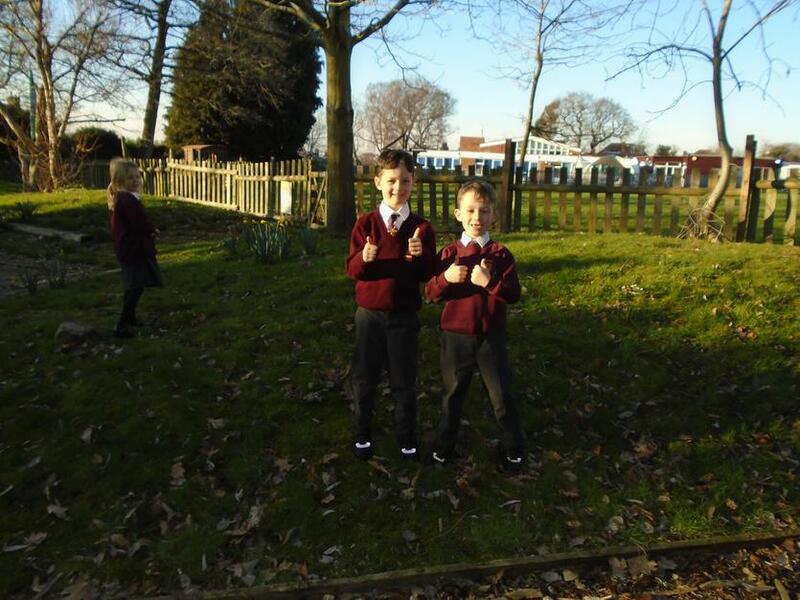 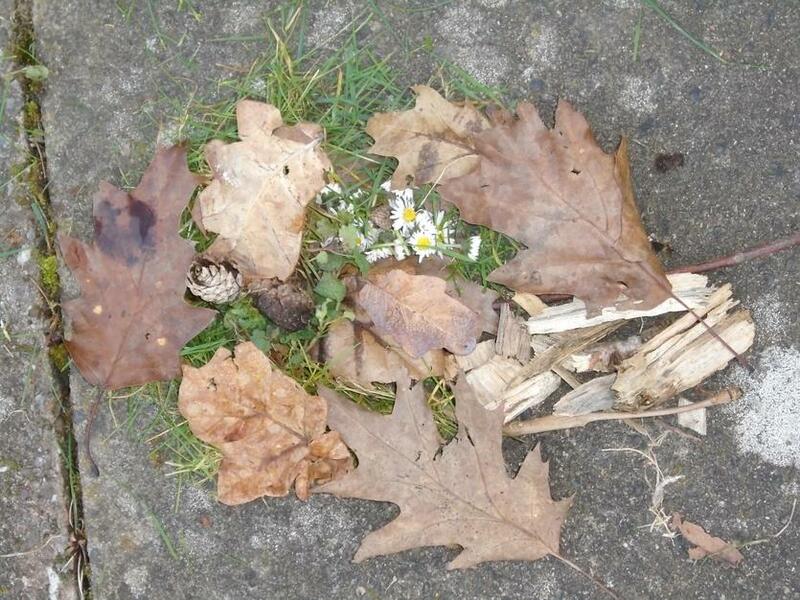 The children did an amazing job - well done. 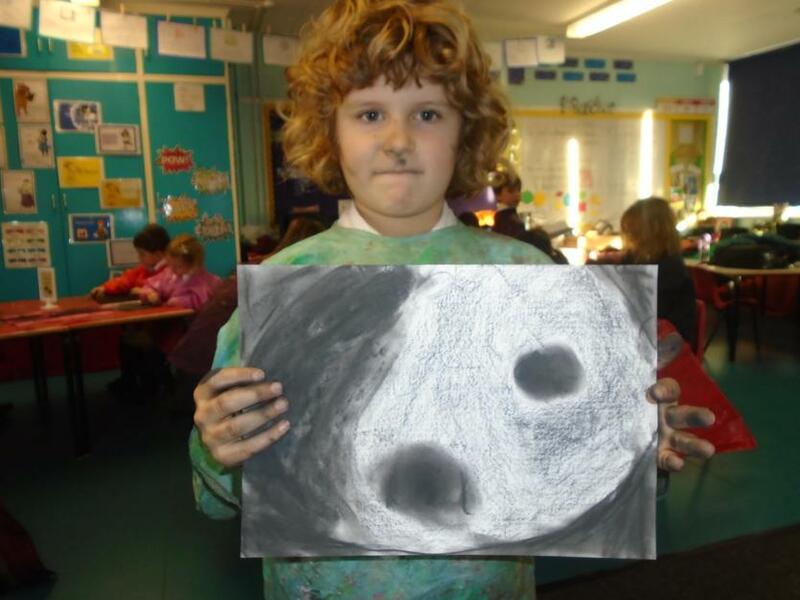 This week's focus was charcoal techniques! 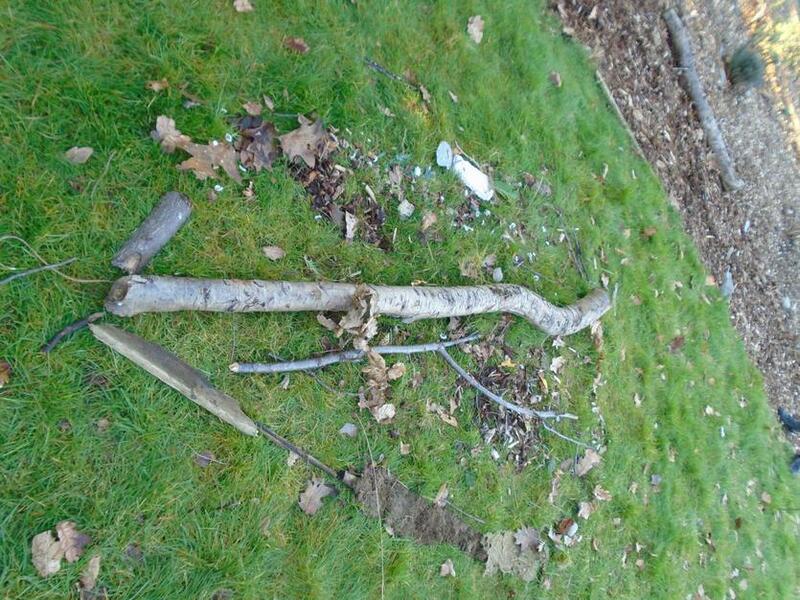 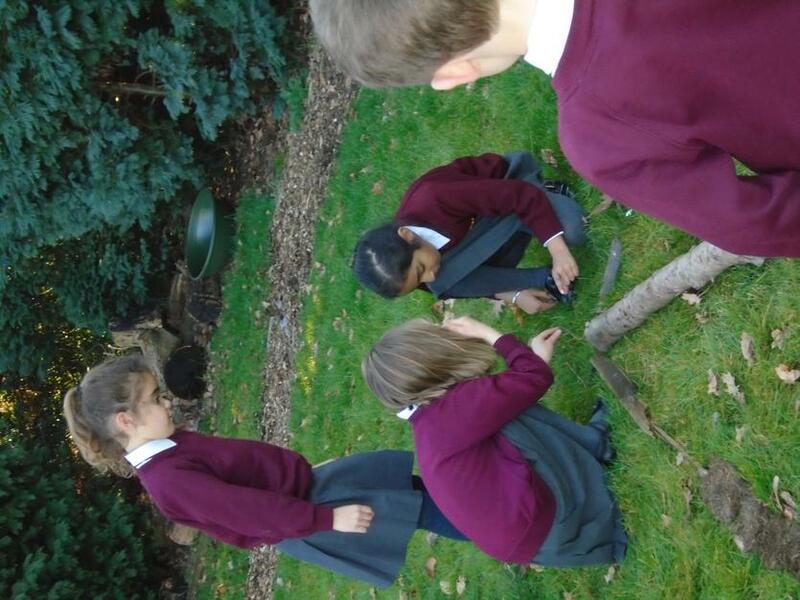 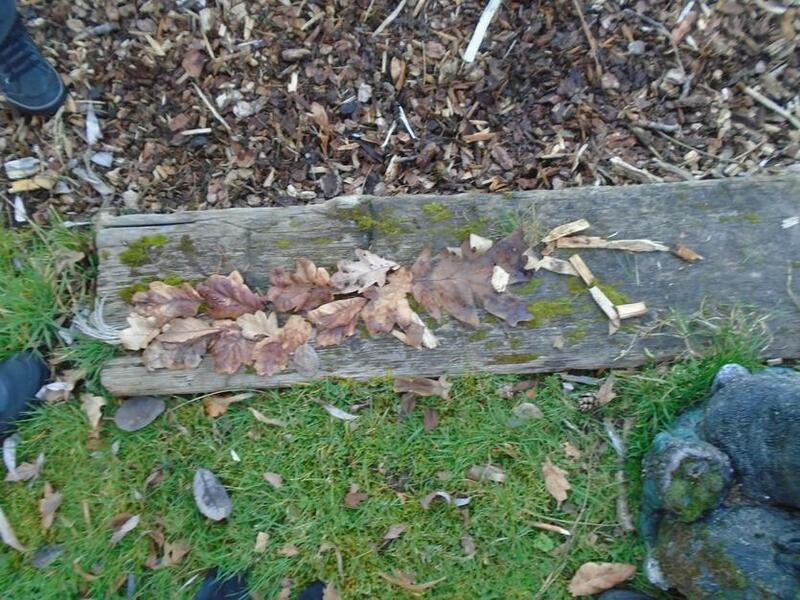 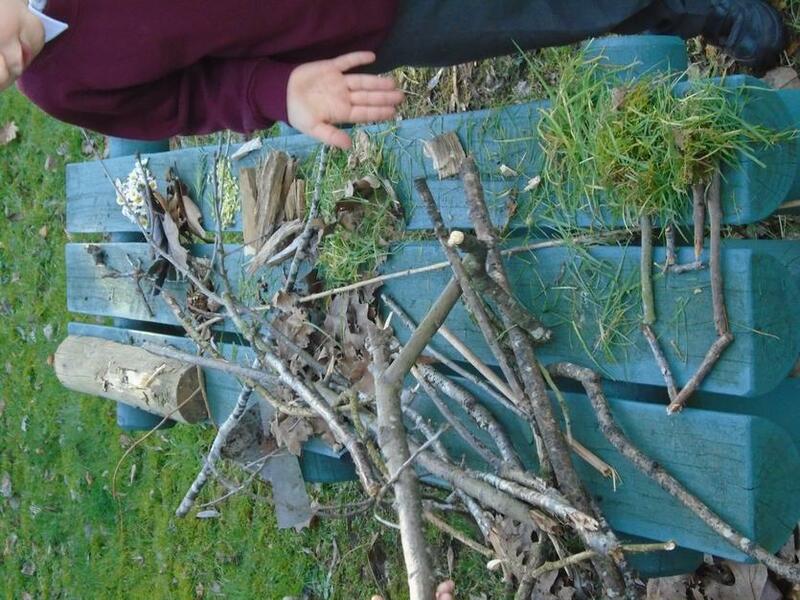 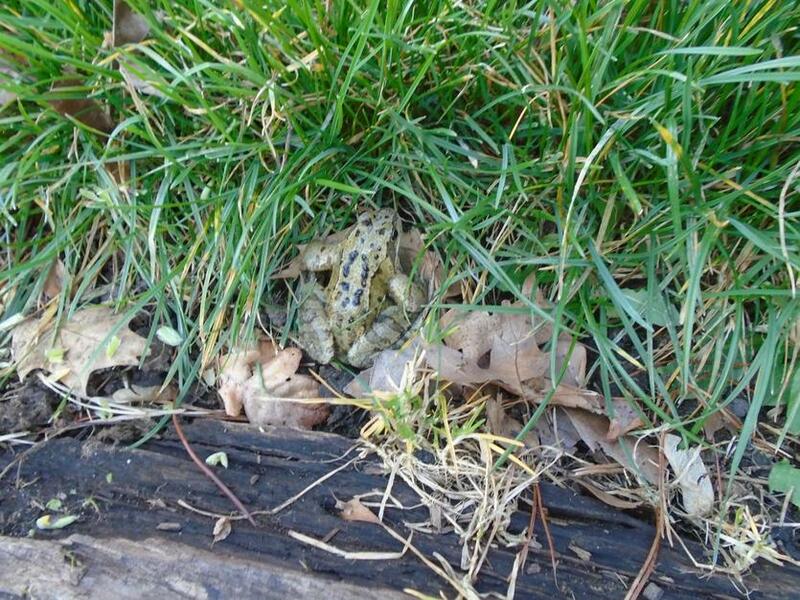 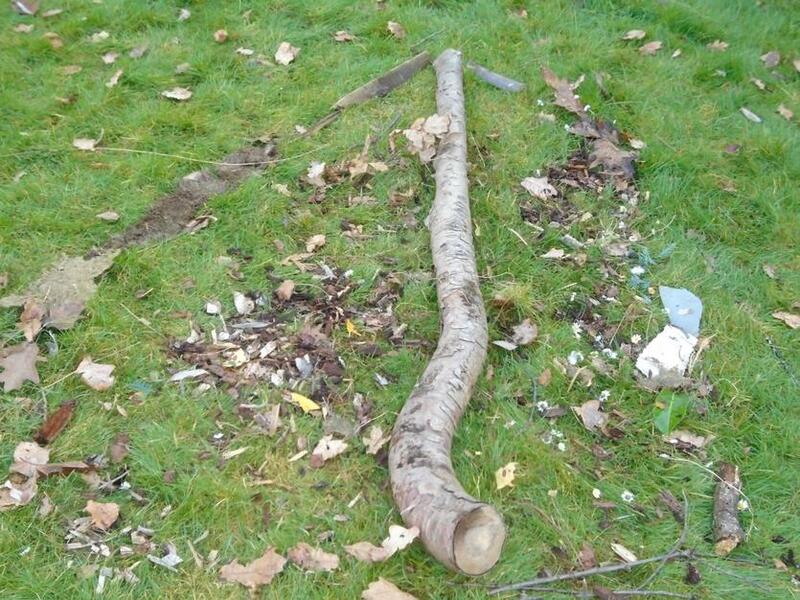 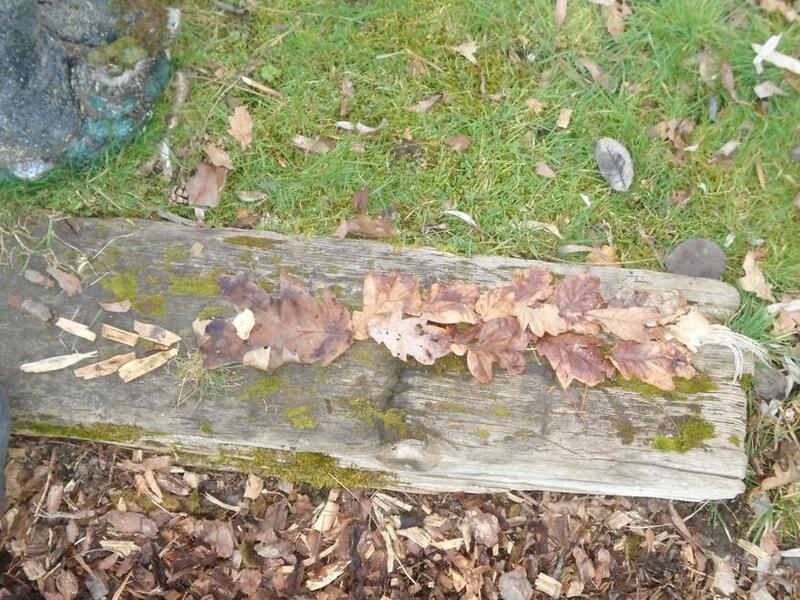 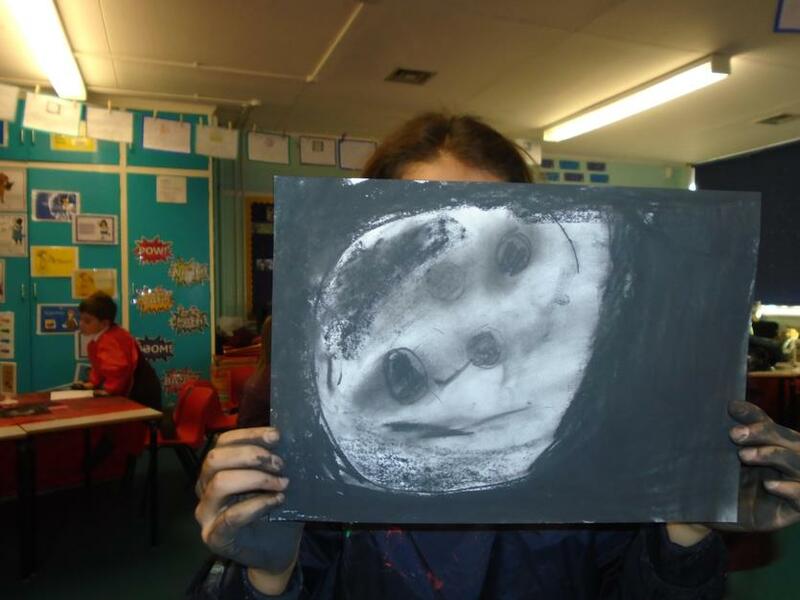 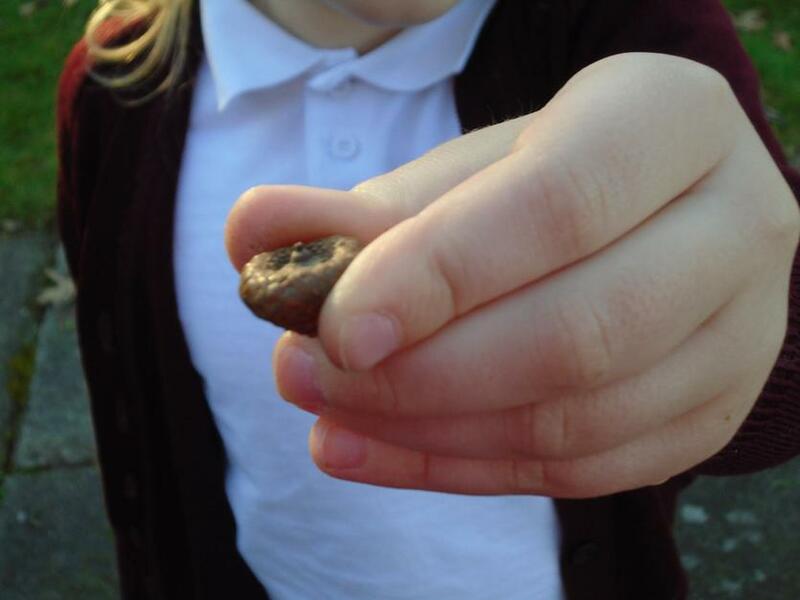 We got quite mucky, but we learnt how shade, smudge and cross-hatch. 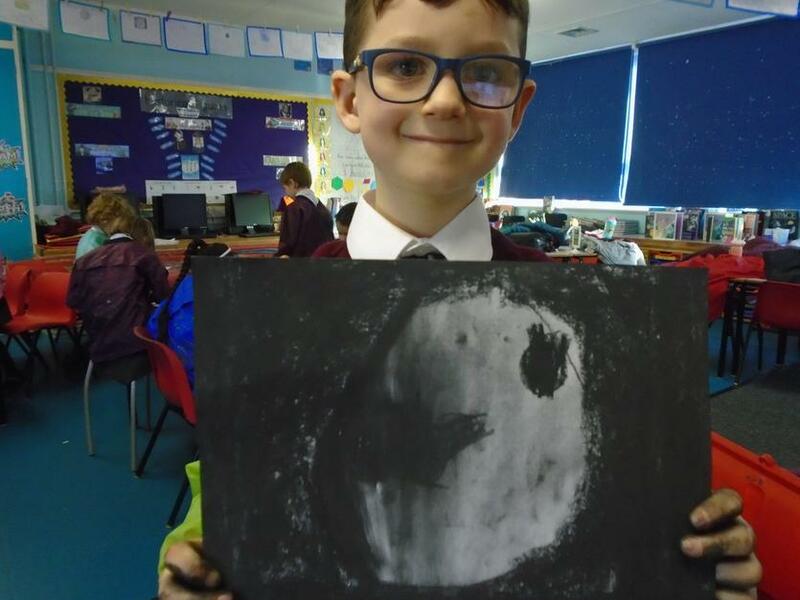 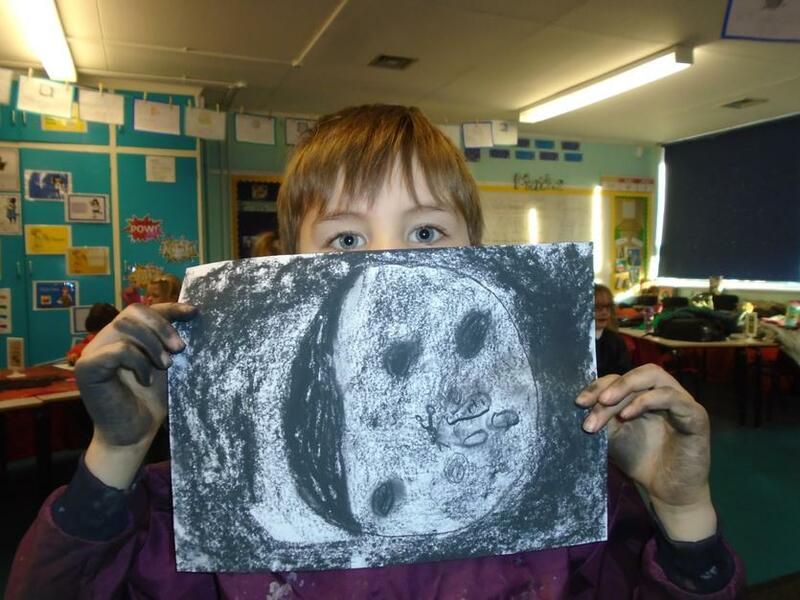 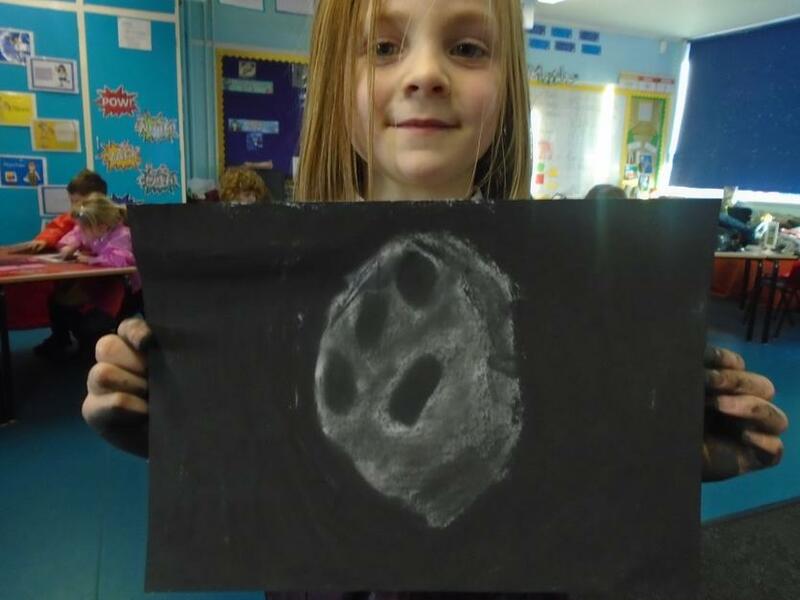 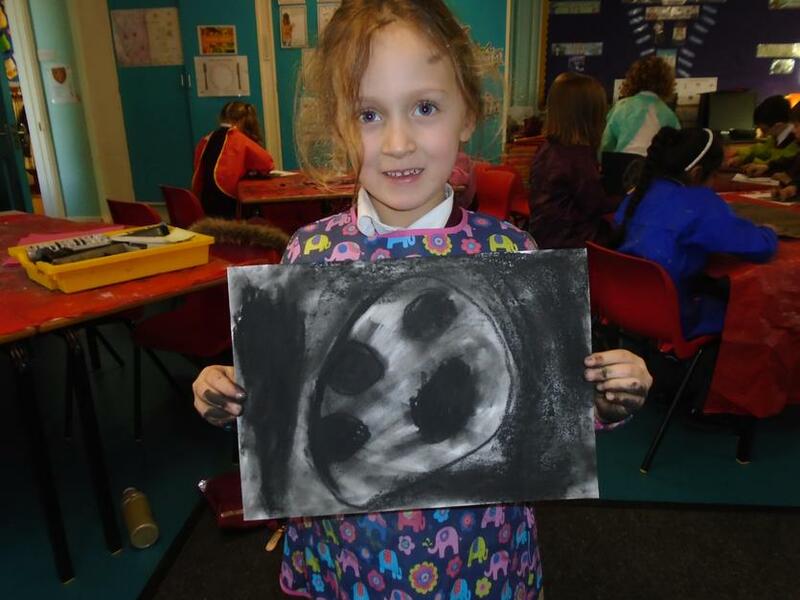 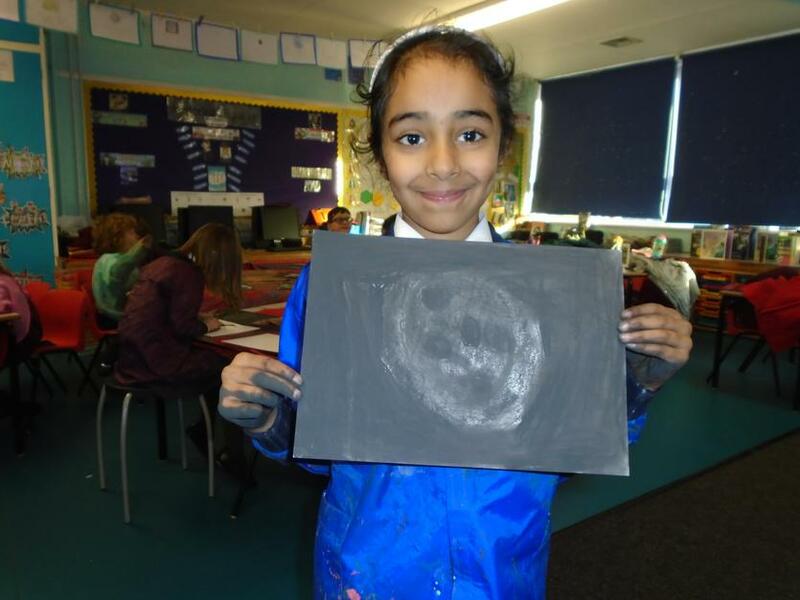 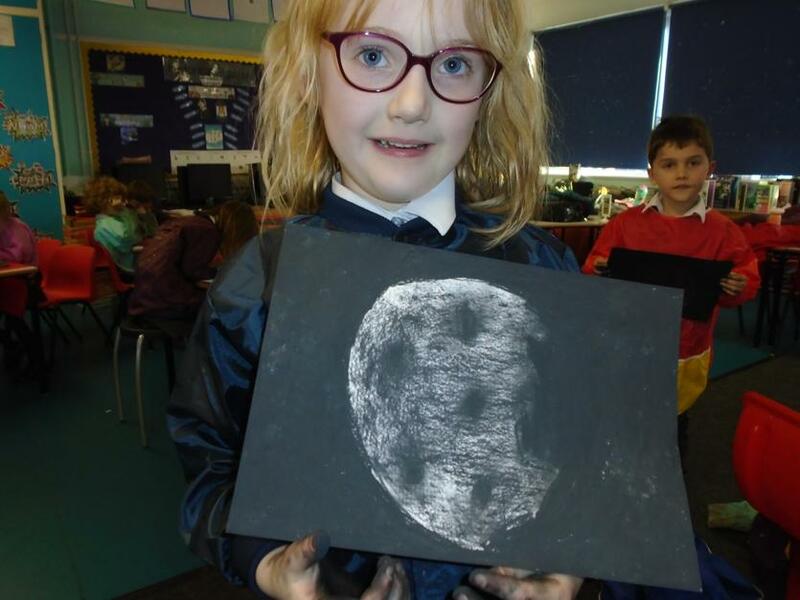 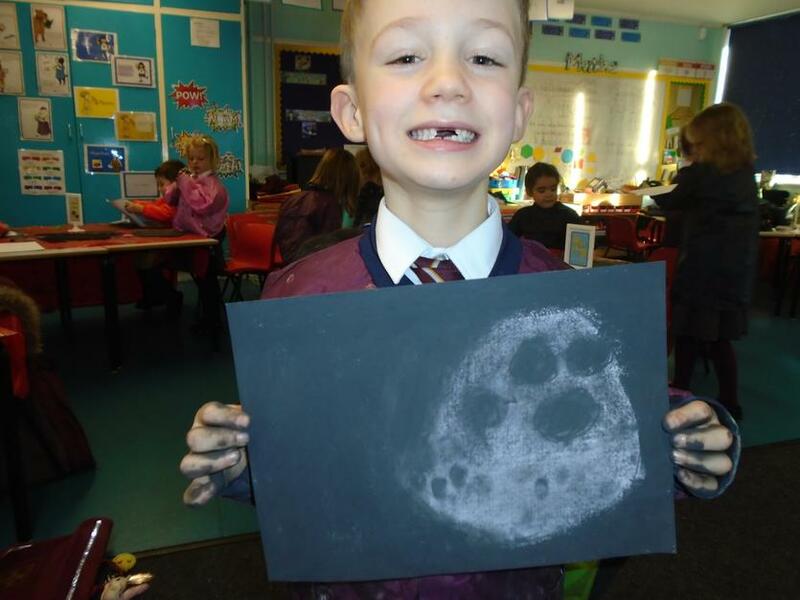 We showed off our new charcoal skills by drawing a picture of the moon. 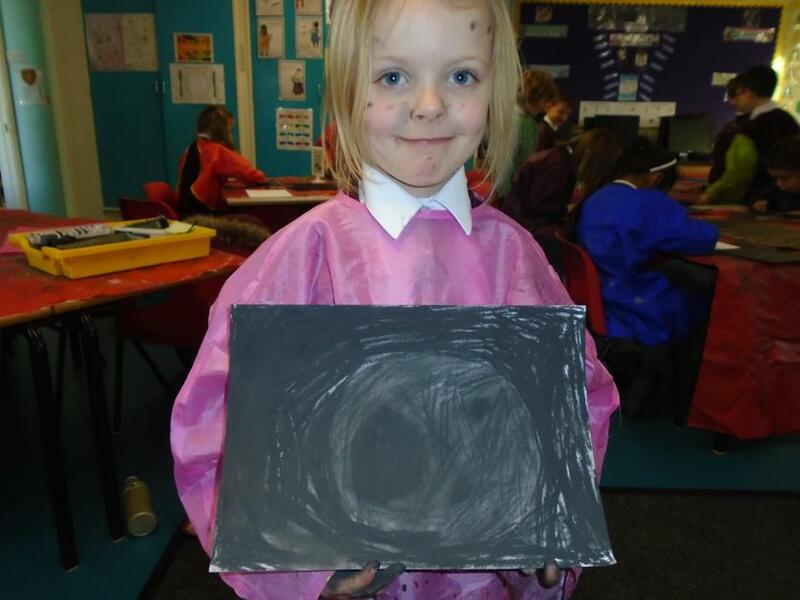 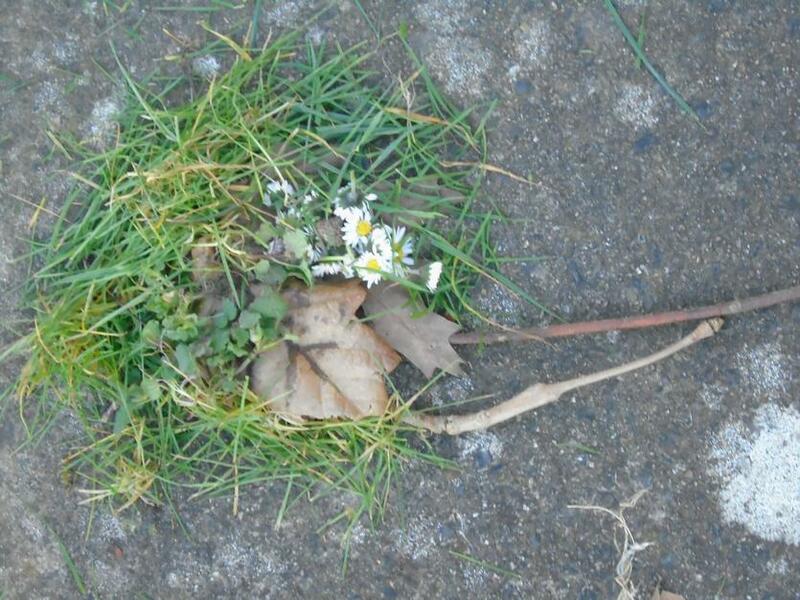 The results were just brilliant! 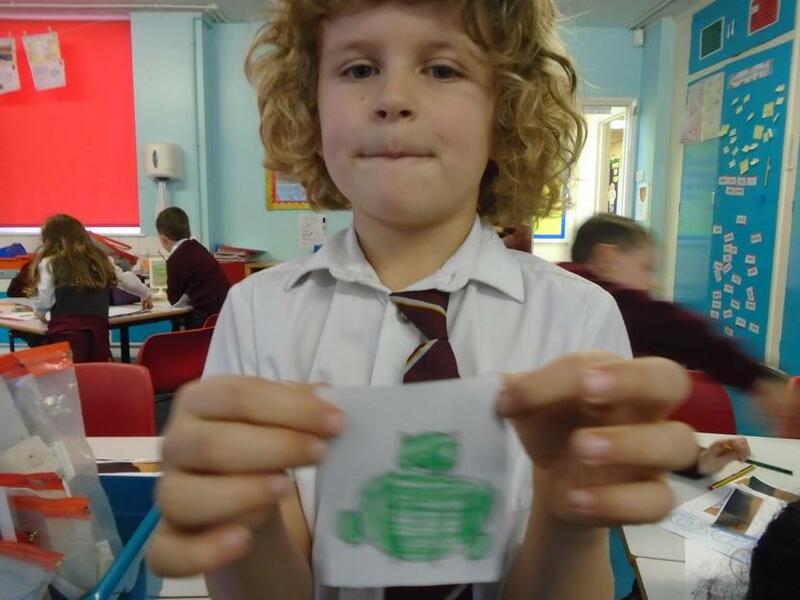 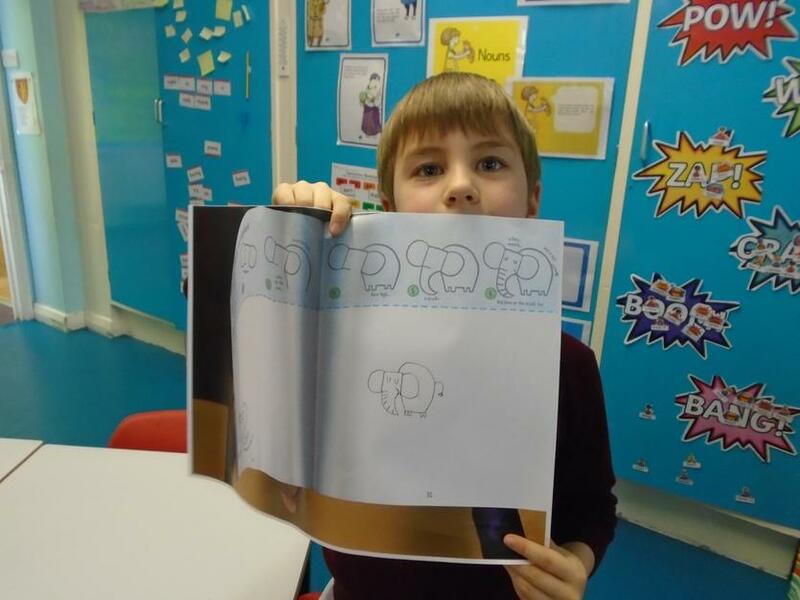 This week we had a go at drawing animals! 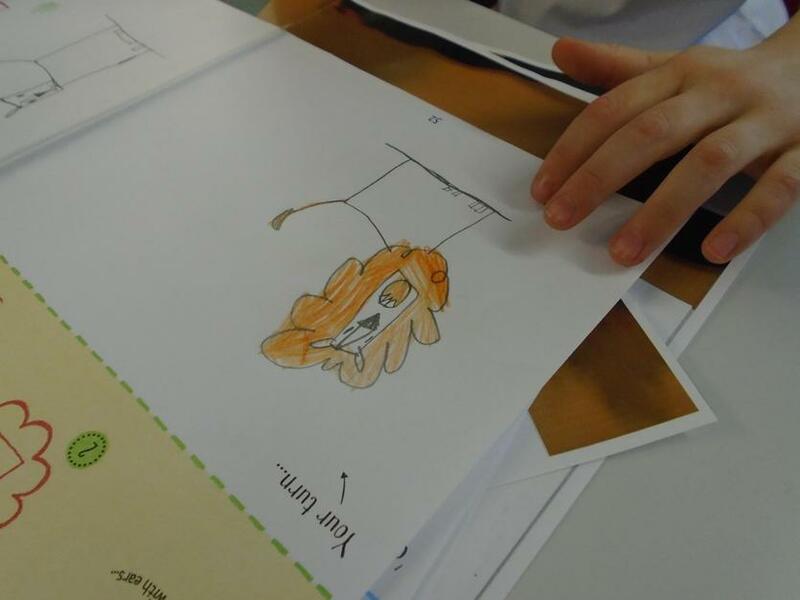 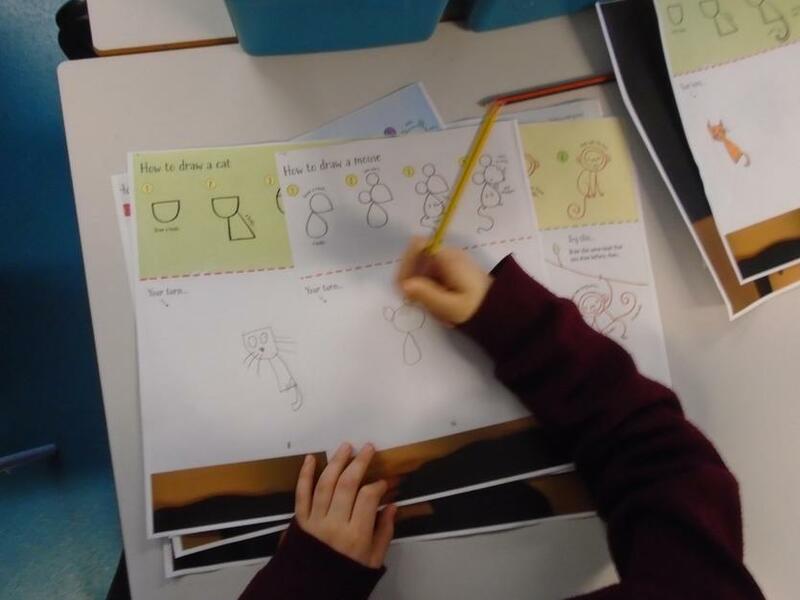 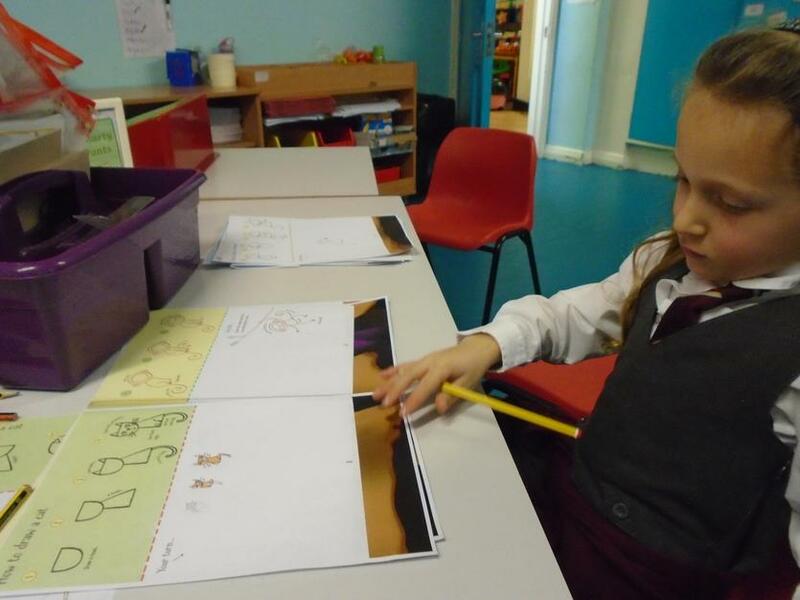 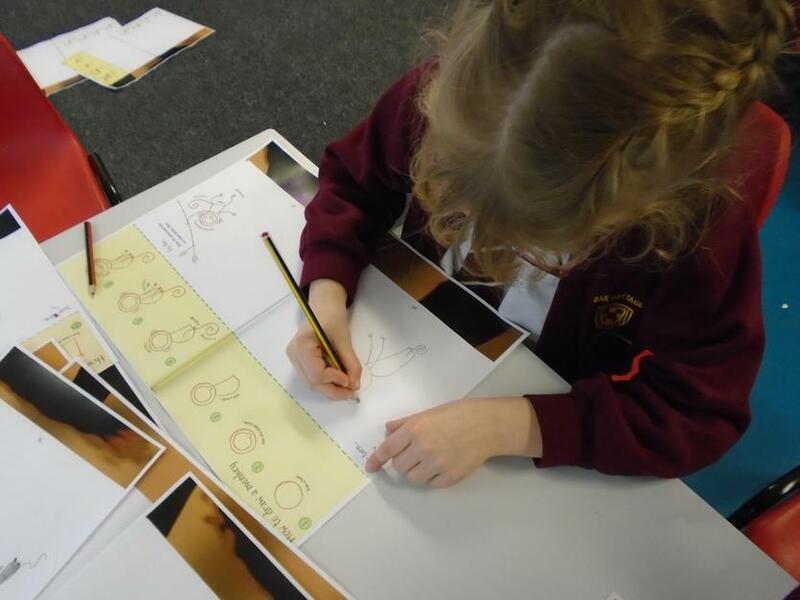 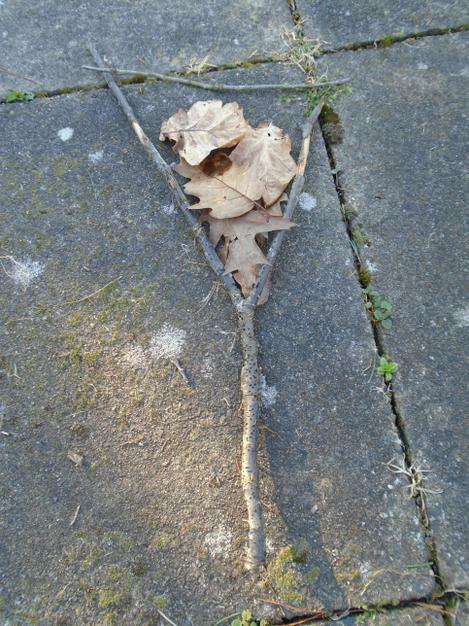 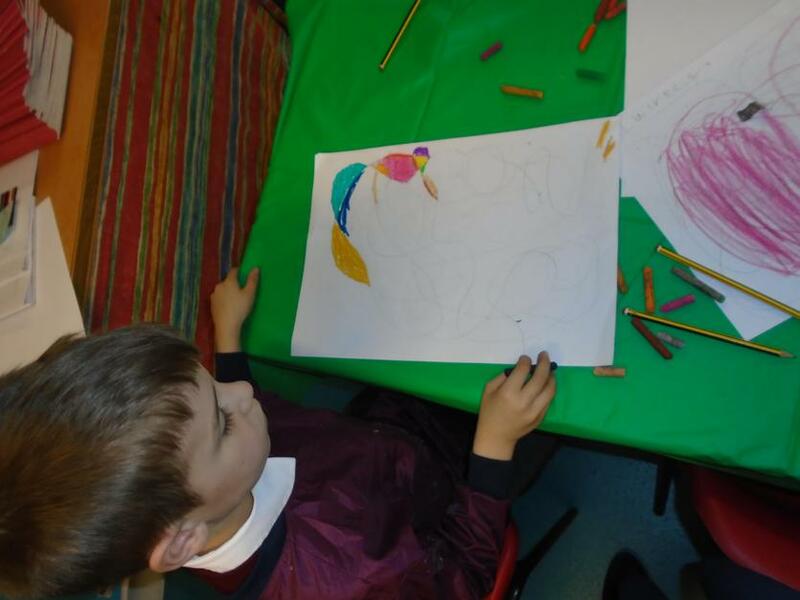 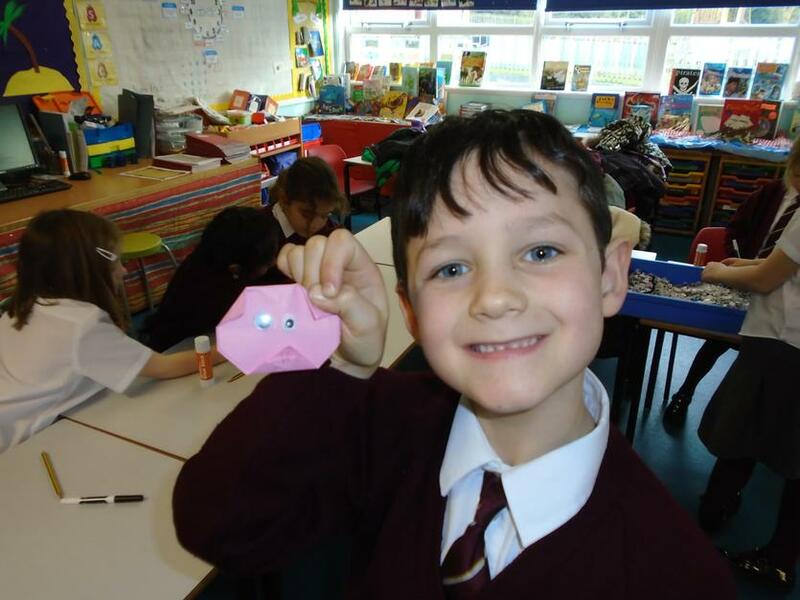 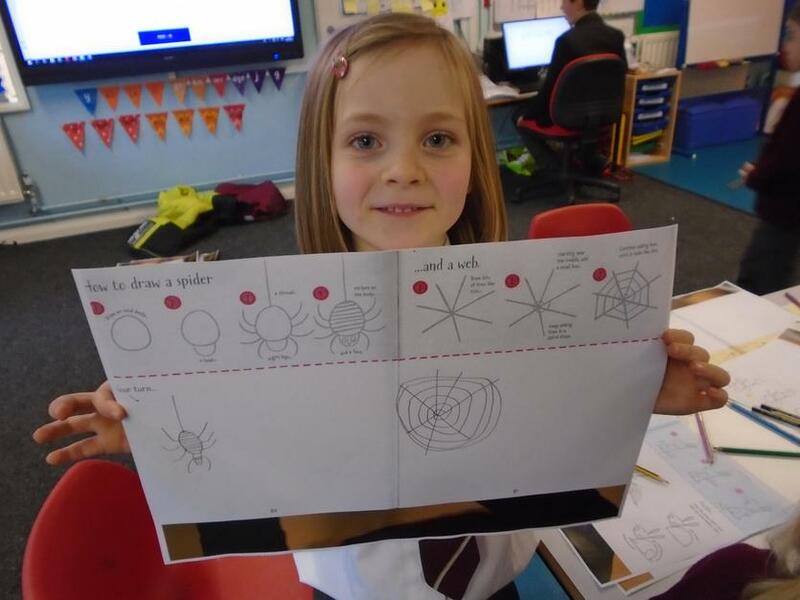 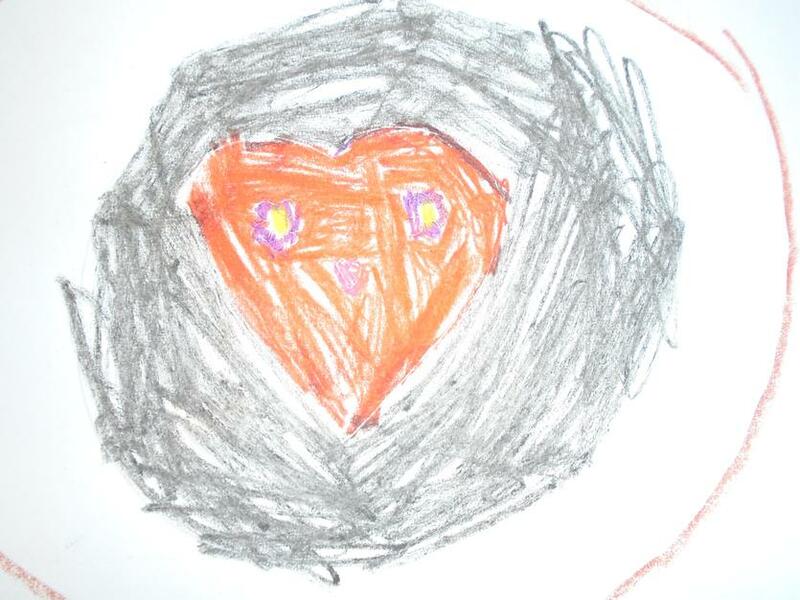 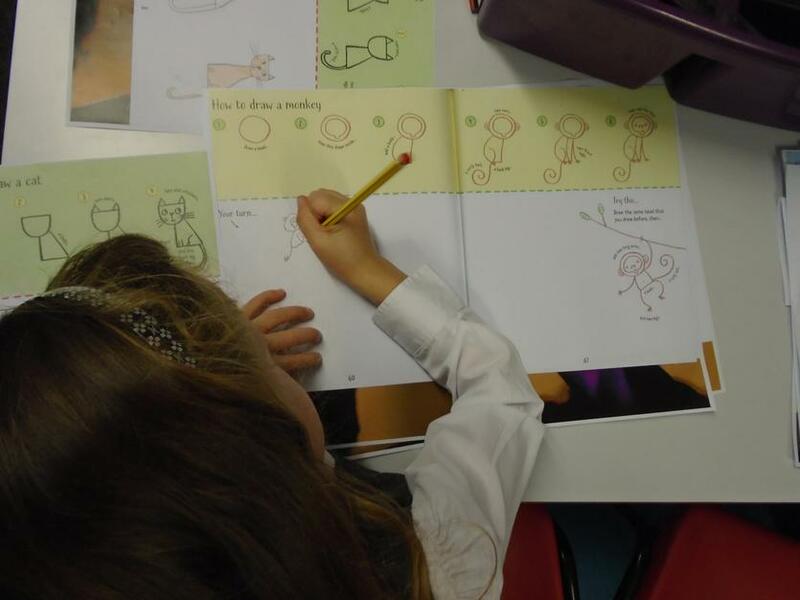 We followed small steps to draw all sorts of amazing creatures - from lions to frogs to spiders! 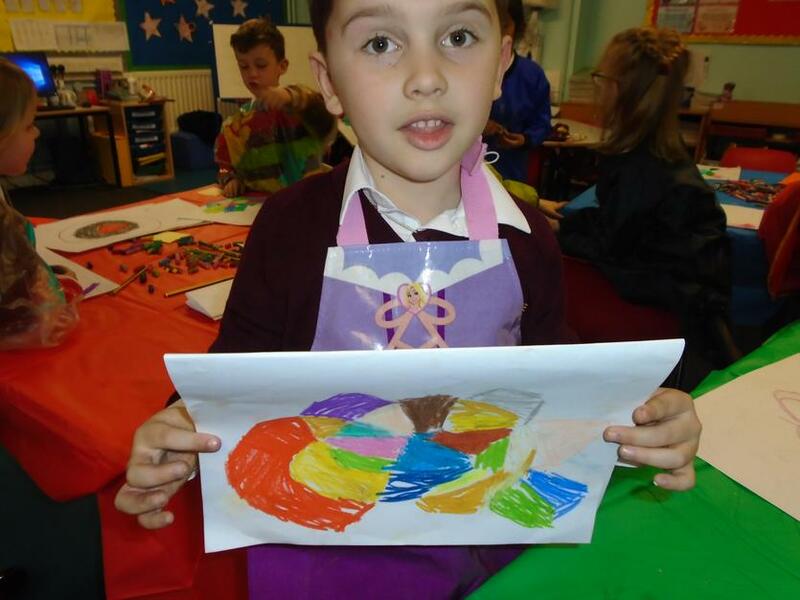 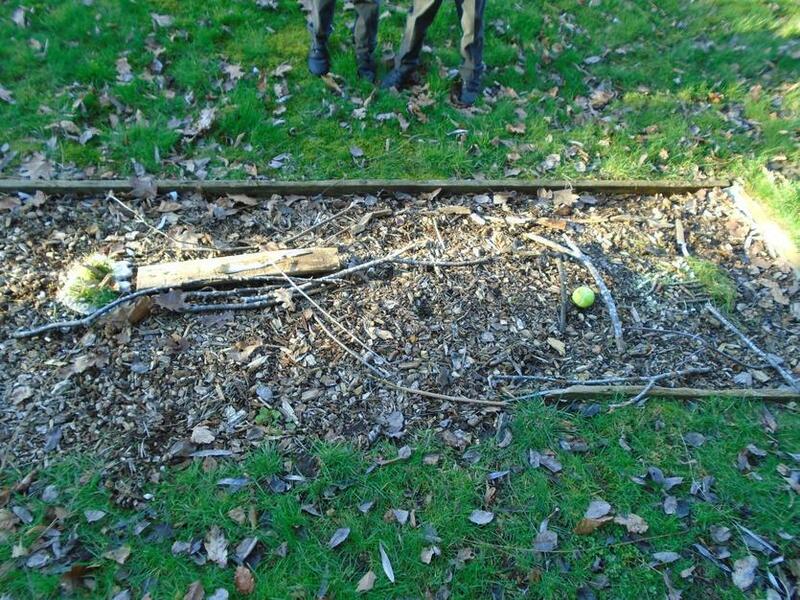 The children did an amazing job! 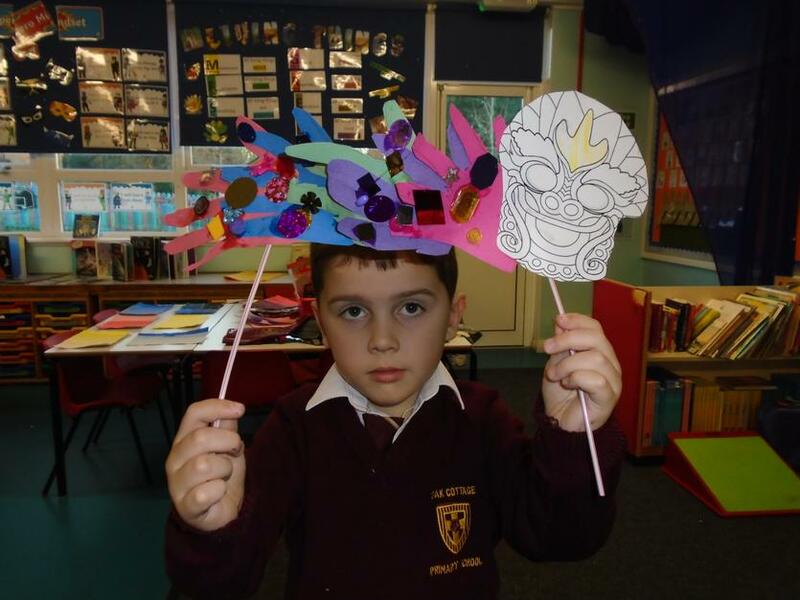 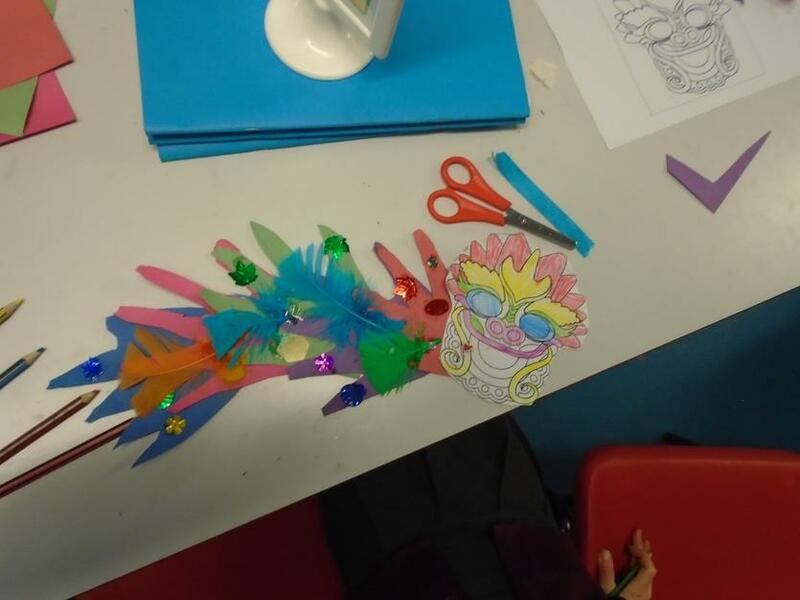 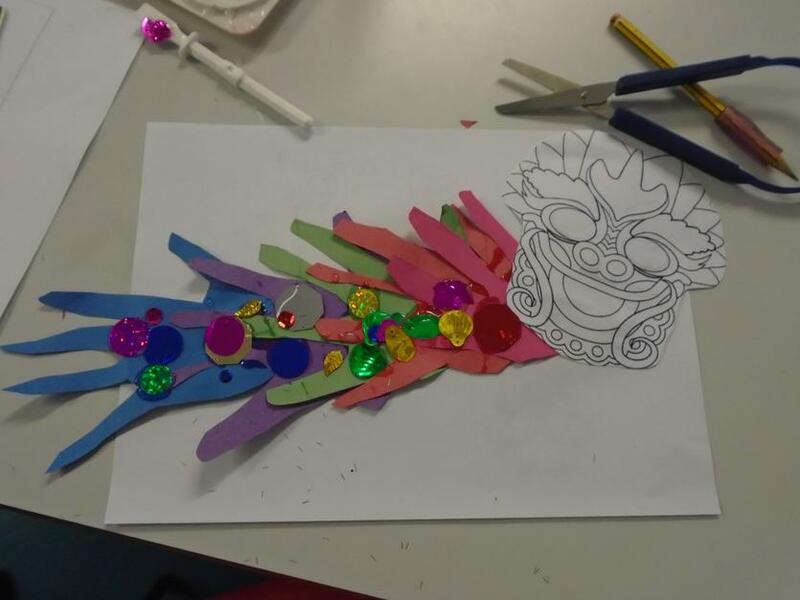 With Chinese New Year looming, we created and decorated our own dragons using our handprints, feathers, sequins and lots of glue! 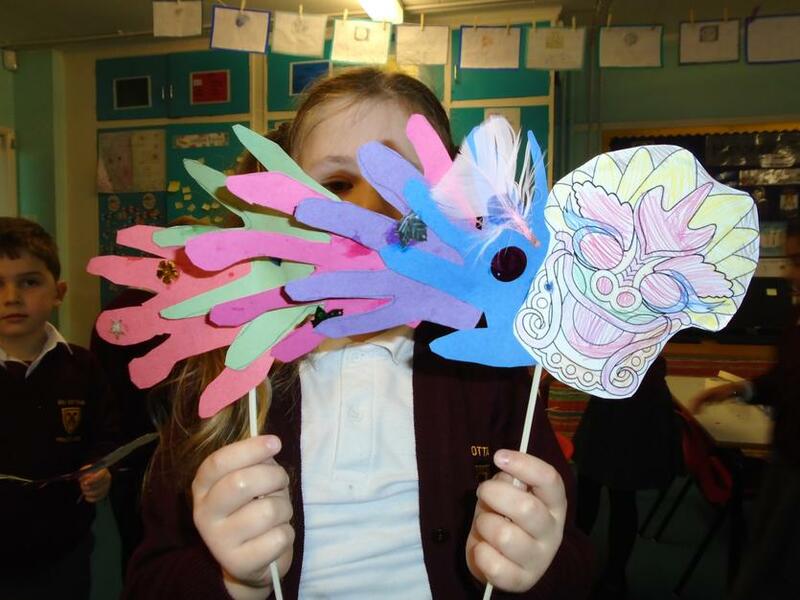 The dragons looked great - well done Art Clubbers! 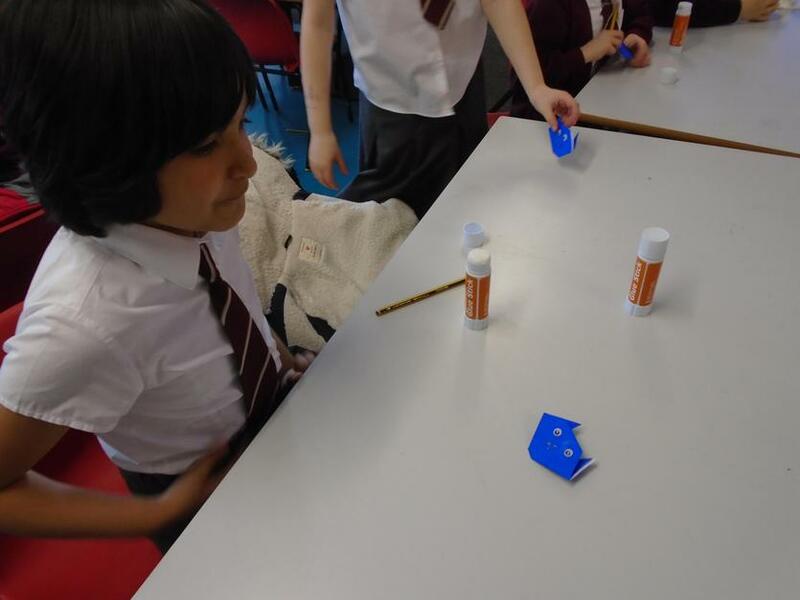 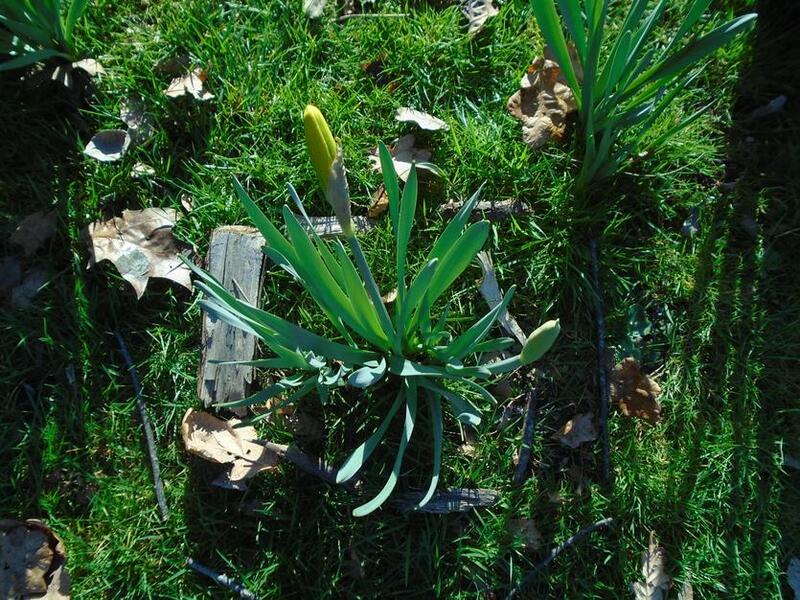 This week, we experimented with tone. 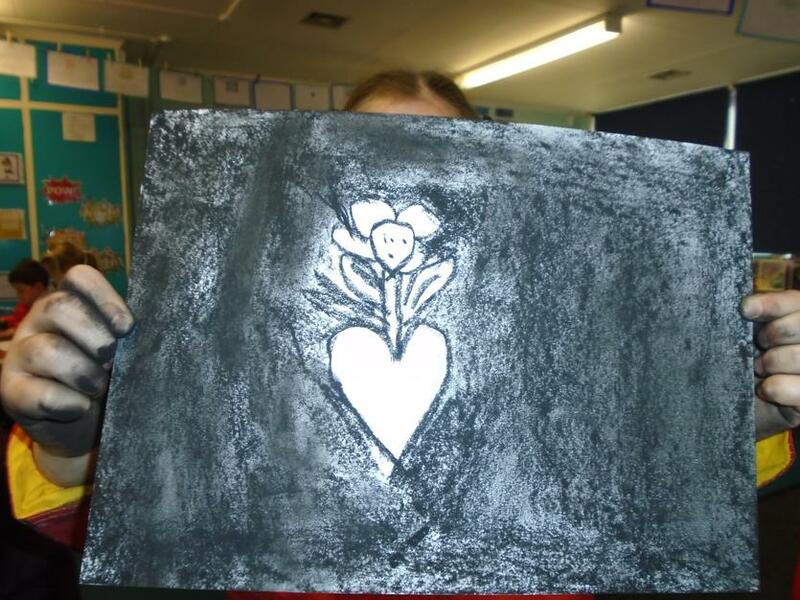 We added small amounts of white paint to primary colours to create lighter tones and then added tiny amounts of black paint to create darker tones. 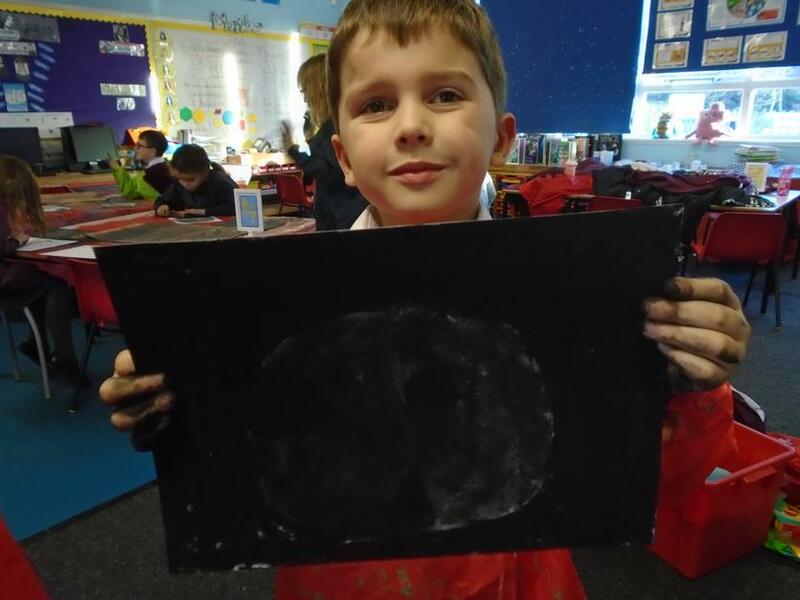 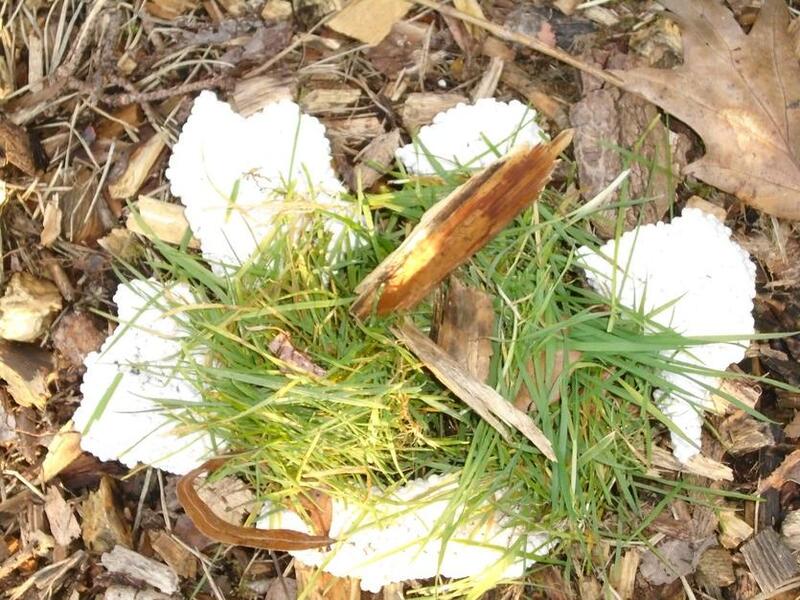 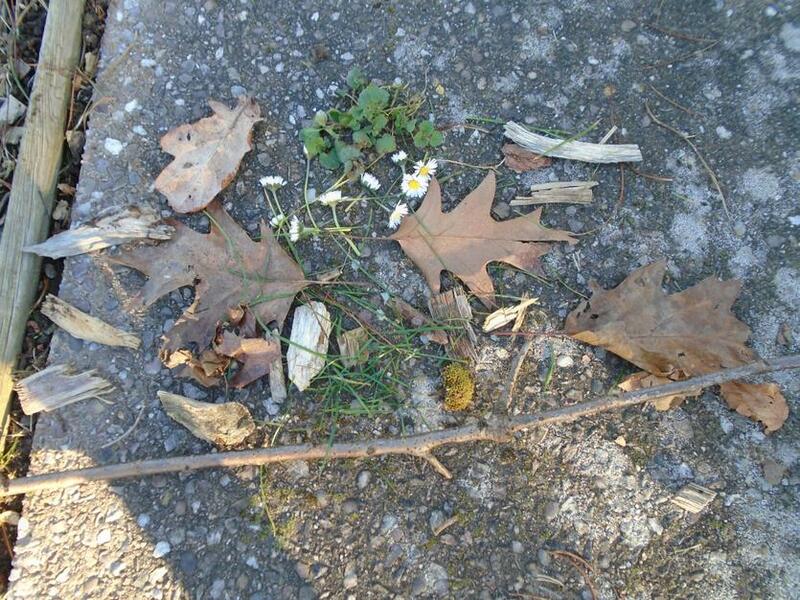 Our results were fantastic!